Indicate by check mark if registrant is a well-known seasoned issuer, as defined in Rule 405 of the Securities Act. Indicate by check mark whether the registrant is a large accelerated file, an accelerated filer, a non-accelerated filer, or a smaller reporting company. See the definitions of “large accelerated filer,” “accelerated filer” and “smaller reporting company” in Rule 12b-2 of the Exchange Act. State the aggregate market value of the voting and non-voting common equity held by non-affiliates computed by reference to the price at which the common equity was sold, or the average bid and asked price of such common equity, as of the last business day of the registrant’s most recently completed second fiscal quarter— $19,976,574. As of March 31, 2018, there were 18,279,075 shares of the issuer’s $.001 par value common stock issued and outstanding. Documents incorporated by reference. There are no annual reports to security holders, proxy information statements, or any prospectus filed pursuant to Rule 424 of the Securities Act of 1933 incorporated herein by reference. This Annual Report of PetVivo Holdings, Inc. on Form 10-K contains forward-looking statements, particularly those identified with the words, “anticipates,” “believes,” “expects,” “plans,” “intends,” “objectives,” and similar expressions. These statements reflect management’s best judgment based on factors known at the time of such statements. The reader may find discussions containing such forward-looking statements in the material set forth under “Management’s Discussion and Analysis and Plan of Operations,” generally, and specifically therein under the captions “Liquidity and Capital Resources” as well as elsewhere in this Annual Report on Form 10-K. Actual events or results may differ materially from those discussed herein. The forward-looking statements specified in the following information have been compiled by our management on the basis of assumptions made by management and considered by management to be reasonable. Our future operating results, however, are impossible to predict and no representation, guaranty, or warranty is to be inferred from those forward-looking statements. The assumptions used for purposes of the forward-looking statements specified in the following information represent estimates of future events and are subject to uncertainty as to possible changes in economic, legislative, industry, and other circumstances. As a result, the identification and interpretation of data and other information and their use in developing and selecting assumptions from and among reasonable alternatives require the exercise of judgment. To the extent that the assumed events do not occur, the outcome may vary substantially from anticipated or projected results, and, accordingly, no opinion is expressed on the achievability of those forward-looking statements. No assurance can be given that any of the assumptions relating to the forward-looking statements specified in the following information are accurate, and we assume no obligation to update any such forward-looking statements. On March 11, 2014, our Board of Directors authorized the execution of that certain securities exchange agreement dated March 11, 2014 (the “Securities Exchange Agreement”) with PetVivo Inc., a Minnesota corporation (“PetVivo”), and the shareholders of PetVivo. In accordance with the terms and provisions of the Securities Exchange Agreement, we acquired all of the issued and outstanding shares of stock of PetVivo, thus making PetVivo our wholly-owned subsidiary, in exchange for the issuance to the PetVivo shareholders of an aggregate 2,310,939,804 shares of our common stock as adjusted for a reverse stock split effective soon after this merger. PetVivo was founded in 2013 by John Lai and John Dolan, and is based in suburban Minneapolis, Minnesota. PetVivo is a biomedical device company engaged in the business of acquiring/in-licensing and adapting human biomedical technology and products for commercial sale in the veterinary market to treat pets and other animals suffering from arthritis and other afflictions. PetVivo’s initial product, which is now being commercialized, is a medical device featuring the injections of patented gel-like, protein-based biomaterials into the afflicted body parts of pets and other animals suffering from osteoarthritis. PetVivo obtained the exclusive rights in a License Agreement for commercialization of Gel-Del technology for the treatment of pets and other animals. Gel-Del is a biomaterial and medical device development and manufacturing company with its offices in Edina, Minnesota, and was founded in 1999 by its chief executive officer, Dr. David B. Masters. Dr. Masters developed Gel-Del’s proprietary biomaterials that simulate a body’s cellular tissue and thus can be readily and effectively utilized to manufacture implantable therapeutic medical devices. The chief advantage of Gel-Del biomaterials is their enhanced biocompatibility with living tissues throughout the body. We are commercializing their technology in the veterinary field for the treatment of osteoarthritis. Gel-Del has also successfully completed a pivotal clinical trial using their novel thermoplastic biomaterial as dermal filler for human cosmetic applications. Gel-Del’s core competencies are developing and manufacturing medical devices containing its proprietary thermoplastic protein-based biomaterials that mimic the body’s tissue to allow integration, tissue repair, and regeneration for long-term implantation. 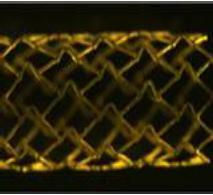 These biomaterials are produced using a patented and scalable self-assembly production process. The inherent thermoplastic properties of these biomaterials are then utilized to manufacture or coat implantable devices. While working together relating to the Licensing Agreement, in 2014 our management and the management of Gel-Del determined to combine the two companies into one business entity producing, marketing and selling medical products based on Gel-Del technology for both humans and animals. In November 2014 the respective Boards of Directors and executive officers of our company and of Gel-Del Technologies, Inc., a Minnesota corporation, (“Gel-Del”) entered into a merger agreement between our company and Gel-Del, subject to approval of our shareholders and Gel-Del shareholders. Shareholder approval of this merger was obtained from shareholders of Gel-Del in March 2015 and from our shareholders in April 2015, and concurrently we also appointed the directors of Gel-Del to our Board of Directors. We then controlled Gel-Del, combined all Gel-Del operations with ours, and were responsible to provide future funding for Gel-Del. Accordingly, we concluded that Gel-Del was a variable interest entity (VIE) for which we were the primary beneficiary and that for accounting purposes, we would consolidate our financial statements with those of Gel-Del with the assets and liabilities of Gel-Del stated at their fair value. We also determined the fair value of the Gel-Del assets and liabilities was based on the $4.02 per share trading price of our common stock at April 10, 2015, resulting in the total purchase consideration being $18,978,462. We were unable to consummate this initial merger agreement with Gel-Del due primarily to a substantial public market decline in the value of our common stock during 2015-2016. In order to complete the Gel-Del merger, in early 2017 we agreed to provide Gel-Del an additional 31.3% of our common shares than was required in the initial merger agreement. Accordingly, our management and Gel-Del management revised the structure and terms of the Gel-Del merger to provide for the issuance of these additional shares to Gel-Del and to effect the transaction through a statutory triangular merger. The Gel-Del merger was then completed under Minnesota Statutes whereby Gel-Del and a wholly-owned subsidiary of ours (which was incorporated in Minnesota expressly for this transaction) completed the triangular merger (the “Merger”). Pursuant to the Merger, Gel-Del was the surviving entity and concurrently became our wholly-owned subsidiary, resulting in our obtaining full ownership of Gel-Del. Our primary reason to effect the Merger was to obtain 100% ownership and control of Gel-Del and its patented bioscience technology, including ownership of Gel-Del’s Cosmeta subsidiary. The effective date for the Merger was April 10, 2017 when the Merger was filed officially with the Secretary of State of Minnesota. Pursuant to the Merger, we issued a total of 5,450,000 shares of our common stock pro rata to the pre-merger shareholders of Gel-Del, resulting in each outstanding common share of Gel-Del being converted into 0.788 common share of our company. The 5,450,000 shares represented approximately 30% of our total post-merger outstanding common shares and were valued at the closing price of our common shares on the effective date of the Merger of $0.40 per share, resulting in total consideration of $2,180,000. Incident to completion of the Merger, we also recorded an impairment loss of approximately $14,700,000 in order to account for the decline in our initial valuation of Gel-Del in 2015. For additional information regarding our accounting treatment of the Gel-Del merger and the related large impairment loss recorded in 2017 due to the decline in value of Gel-Del from the initial uncompleted merger transaction and the 2017 completed merger transaction, see Note 6 to the financial statements included in this Annual Report on Form 10-K.
We are based in suburban Minneapolis, Minnesota. We are a biomedical device company, which has been primarily engaged in the business of adapting human biomedical technology for products to be introduced for commercial sale in the veterinary market to treat pets and other animals suffering from arthritis and other afflictions. Our initial product, now being commercialized, is a medical device featuring injections of patented gel-like biomaterials into the afflicted body parts of dogs and horses suffering from osteoarthritis. The technology and manufacturing capability of this product was developed by Gel-Del and acquired by us in the Gel-Del merger. We are an emerging biomedical device company focused on the licensing and commercialization of innovative medical devices and therapeutics for pets, based in Minneapolis, Minnesota. We operate in the $15 billion US veterinary care market that has grown at a CAGR of 6.4% over the past five years according to the American Pet Products Association. Despite the market size, veterinary clinics and hospitals have very few treatments and/or drugs for use in pets and other animals. The role of pets in the family has greatly evolved in recent years. Many pet owners consider their pets an important member of the family. They are now willing to spend greater amounts of money on their pets to maintain their health and quality of life. We intend to leverage investments already expended in the development of human therapeutics to commercialize treatments for pets in a capital and time-efficient way. A key component of this strategy is the accelerated timeline to revenues for veterinary medical devices, which enter the market earlier than the more stringently regulated veterinary pharmaceuticals or human therapeutics. We launched our lead product, the Kush™ System in Q2 2018. The Kush System is a veterinarian-administered joint injection for the treatment of osteoarthritis and lameness in dogs and horses. The Kush System device is made from natural components that are lubricious and cushioning to perform like cartilage for the treatment of pain and inflammation associated with osteoarthritis. We believe that the Kush System is a superior treatment that safely improves joint function. The reparative Kush™ particles are lubricious, cushioning and long-lasting. The spongy, protein-based particles in the Kush System mimic the composition and protective function of cartilage (i.e., providing both a slippery cushion and healing scaffolding). The Kush System particles protect the joint as an artificial cartilage. In addition to being a treatment for osteoarthritis, the joint cushioning and lubricity effects of The Kush™ System device have shown an ability to treat equine lameness that is due to navicular disease (a problem associated with misalignment of joints and bones in the hoof and digits). Based on a variety of industry sources we estimate that 1 million owned horses in the United Stated and European Union suffer from lameness and/or navicular disease each year, making the equine lameness and navicular disease market an annual opportunity worth $600 million. See Kane, Albert J., Josie Traub-Dargatz, Willard C. Losinger, and Lindsey P. Garber; “The occurrence and causes of lameness and laminitis in the US horse population” Proc Am Assoc Equine Pract. San Antonio (2000): 277-80; Seitzinger, Ann Hillberg, J. L. Traub-Dargatz, A. J. Kane, C. A. Kopral, P. S. Morley, L. P. Garber, W. C. Losinger, and G. W. Hill. “A comparison of the economic costs of equine lameness, colic, and equine protozoal myeloencephalitis (EPM).” In Proceedings, pp. 1048-1050. 2000; and Kilby, E. R. 10 CHAPTER, The Demographics of the U.S. Equine Population, The State of the Animals IV: 2007. Osteoarthritis is a condition with degenerating cartilage, creating joint stiffness from mechanical stress resulting in inflammation and pain. The lameness caused by osteoarthritis worsens with time from the ongoing loss of protective cushion and lubricity (i.e., loss of slippery padding). There is no current treatment for osteoarthritis, only palliative pain therapy or joint replacement. Non-steroidal, anti-inflammatory drugs (NSAIDs) are used to alleviate the pain and inflammation, but long-term use has been shown to cause gastric problems. NSAIDs do not treat the cartilage degeneration issue to halt or slow the progression of the osteoarthritis condition. We believe that our treatment of osteoarthritis in canines using the Kush System is far superior to the current methodology of using NSAIDs. 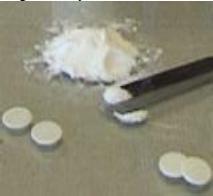 NSAIDs have many side effects, especially in canines, whereas the company’s treatment using the Kush System has been found to elicit no adverse side effects. Remarkably, Kush-treated dogs show an increase in activity even after they no longer are receiving pain medication. No special training is required for the administration of the Kush System devices. 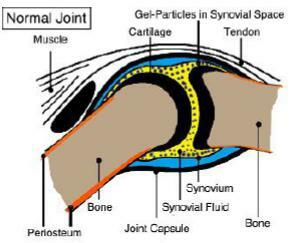 The treatment is injected into synovial joint space using standard intra-articular injection technique and multiple joints can be treated simultaneously. The Kush System immediately treats effects of osteoarthritis with no special post-treatment requirements. Historically, drug sales represent up to 30% of revenues at a typical veterinary practice (Veterinary Practice News). Revenues and margins at veterinary practices are being eroded because online, big-box and traditional pharmacies recently started filling veterinary prescriptions. Veterinary practices are looking for ways to replace the lost prescription revenues. Our treatments expand practice revenues and margins because they are veterinarian-administered. The Kush System device is veterinarian-administered to expand practice revenues and margins. We believe that the increased revenues and margins provided by the Kush System will accelerate its adoption rate and propel it forward as the standard of care for canine and equine lameness related to or due to synovial joint issues. 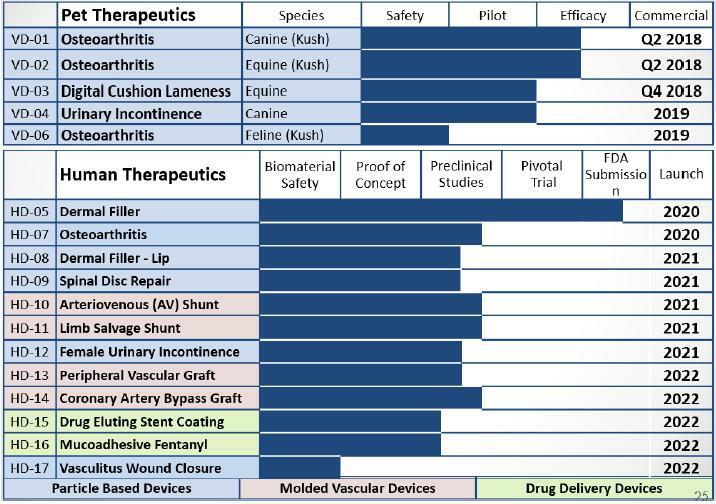 Our current pipeline includes 17 therapeutic devices for both veterinary and human clinical applications. In our past couple filings of our annual report on Form 10-K, we mistakenly included a current pipeline table as above which was incorrect, and the foregoing table has been revised to reflect our current estimates of each product for the above categories. The primary reason we failed to satisfy the respective estimated dates in any earlier filings was because we did not receive anticipated substantial funding needed to satisfy those earlier performance estimates. We anticipate growing our product pipeline through the acquisition or in-licensing of additional proprietary products from human medical device companies specifically for use in pets. In addition to commercializing our own products in strategic market sectors and in view of the company’s vast proprietary product pipeline, the Company anticipates establishing strategic out-licensing partnerships to provide secondary revenues. We plan to commercialize our products in the United States through distribution relationships supported by regional and national distributors and complemented by the use of social media to educate and inform pet owners; and in Europe and rest of world through commercial partners. Most veterinarians in the United States buy a majority of their equipment and supplies from one of six veterinary-product distributors. Combined, these six distributors deliver more than 85%, by revenue, of the products sold to companion animal veterinarians in the U.S. Our product distribution will leverage the existing supply chain and veterinary clinic and clinician relationships already established by these large distributors. We plan to support this distribution channel with regional sales representatives. Our representatives will support our distributors and the veterinary clinics and hospitals. We will also target pet owners with product education and treatment awareness campaigns utilizing a variety of social media tools. The unique nature and the anticipated benefits provided by our products are expected to generate significant consumer response. Gel-Del Particles have been through a human trial and have been classified as a medical device. The FDA does not require submission of a 510(k) or formal pre-market approval for medical devices used in veterinary medicine. We have completed initial commercial production and have commenced marketing our Kush products in calendar Q2 2018. We anticipate selling through existing veterinary distributors. Our wholly-owned subsidiary entered into that certain exclusive license agreement and manufacturing and supply agreement dated August 2, 2013 (the “License Agreement”) with Gel-Del pertaining to the manufacture and supply of products by Gel-Del derived from certain technology, including protein-based biomaterials and devices, which are beneficial for the veterinary treatment of animals having orthopedic joint afflictions (the “Technology”). We have since terminated the License Agreement based upon consummation of the Gel-Del merger. Gel-Del is our wholly-owned subsidiary and is a biomaterial and medical device manufacturing company based in our main offices in Edina, Minnesota. We and our Gel-Del subsidiary are in the process of commercializing Gel-Del’s technology in the veterinary field for the treatment of osteoarthritis in animals. Gel-Del has also successfully completed a pivotal clinical trial using their novel thermoplastic biomaterial as dermal filler for human cosmetic applications. Gel-Del’s core competencies are developing and manufacturing medical devices containing its proprietary thermoplastic protein-based biomaterials that mimic the body’s tissue to allow integration, tissue repair, and regeneration for long-term implantation. 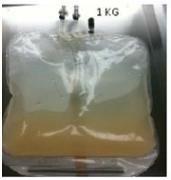 These biomaterials are produced using a patented and scalable self-assembly production process. The inherent thermoplastic properties of these biomaterials are then utilized to manufacture or coat implantable devices. Gel-Del® biomaterials are constructed from purified water, protein, and carbohydrate, tailored to simulate different body tissues that biologically integrate (bio-integration). Gel-Del’s technology is used to manufacture CosmetaLife®, dermal filler for wrinkle treatment by injection. These formed gel-particles fill, integrate and rejuvenate dermal skin tissue to remove the wrinkle. The blood compatible Gel-Del material, which allows blood contact and bio-integrative processes to occur without clotting, platelet attachment, or thrombogenesis, is used to repair cardiovascular tissue. VasoGraft®, a blood vessel graft made from Gel-Del VasoCover™ material, is designed to mimic natural blood vessel tissue in almost every respect, including the components used. Unique fabrication techniques allow Gel-Del’s material to homogeneously distribute drug in milligram to nanogram amounts, resulting in optimum performance and manufacturing capabilities for a variety of delivery methods, such as coatings, injectables, implantables or transmucosal delivery. The first planned transmucosal product, OraPatch™, has been optimized and tested with peptide drugs with better efficacy than oral dosing via swallowing. Gel-Del material will be used in a variety of shapes for orthopedic and dental applications. The first products, OrthoGelic™ and OrthoMetic™, will be aimed at difficult to heal, non-union broken bones, by using particles to fill the empty space. The orthopedic biomaterial, made to mimic the structural components of bone, can allow integration and healing to fill in the break and exclude non-bone tissue infiltration. Our intellectual property portfolio is comprised of patents, patent applications, trademarks and trade secrets. We have eight issued United States Patents, two allowed United States patents, and an additional two US patent applications pending. In addition to the United States patent portfolio we also have eight patents granted in key markets around the world including Canada, Australia and the European Union. We have additional applications pending in those key foreign markets. Our patent portfolio is currently held in our wholly-owned subsidiary Gel-Del Technologies. We believe we have developed a broad and deep patent portfolio around our biomaterials and manufacturing processes in addition to the application of these biomaterials for use as medical devices, medical device coatings and pharmaceutical delivery devices. The Company secures other technological know-how by trade secret law and also possesses five trademarks that are either registered or protected pursuant to trademark common law. To maximize the strength and value of our patent portfolio many of the claims use the transitional term “comprising”, which is synonymous with “including,” This use of transitional language is inclusive or open-ended and does not exclude additional, unrecited elements or method steps. Our patents also include method claims covering many of the applications and uses of the biomaterials as medical devices and drug delivery systems. 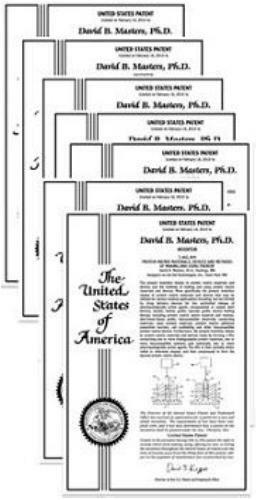 With eight issued or allowed United States Patents that contain 328 claims, our intellectual property portfolio strongly protects our proprietary technology, including the composition of raw elements used to produce our formulations, the fabricated biomaterials and their application in end products, thereby making our material and devices much more attractive to industry partners. We will seek to protect our products and technologies through a combination of patents, regulatory exclusivity, and proprietary know-how. Our goal is to obtain, maintain and enforce patent protection for our products, formulations, processes, methods and other proprietary technologies, preserve our trade secrets, and operate without infringing on the proprietary rights of other parties, both in the United States and in other countries. Our policy is to actively seek to obtain, where appropriate, the broadest intellectual property protection possible for our current compounds and any future compounds in development. We also strenuously protect our proprietary information and proprietary technology through a combination of contractual arrangements, trade secrets and patents, both in the United States and abroad. However, even patent protection may not always afford us with complete protection against competitors who seek to circumvent our patents. We depend upon the skills, knowledge and experience of our scientific and technical personnel, including those of our company, as well as that of our advisors, consultants and other contractors, none of which is patentable. To help protect our proprietary know-how, which may not be patentable, and inventions for which patents may be difficult to obtain or enforce, we rely on trade secret protection and confidentiality agreements to protect our interests. To this end, we generally require all of our employees, consultants, advisors and other contractors to enter into confidentiality agreements that prohibit disclosure of confidential information and, where applicable, require disclosure and assignment of ownership to us the ideas, developments, discoveries and inventions important to our business. Over the last several decades, we believe the animal health market and industry has a strong component in the overall U.S. economy and is more resistant to economic cycles. The veterinary sector is as an attractive area to participate in the growth of the broader healthcare industry without reimbursement risk. Based on our best knowledge, U.S. consumers will spend an estimated $60 billion on pets this year—a number that has been growing at a pace of more than 5% over the past decade. Therapeutics constitutes a small portion of this market (less than $2 billion) but we believe it is poised to expand as pet care becomes more complex and companies launch new products for unmet needs. The growth in the U.S. companion animal market has been continuing to increase due to the increase in the number of pet-owning households. The American Pet Products Association (APPA) 2013-2014 National Pet Owners Survey indicates U.S. pet ownership reached record levels in 2013. Specifically, 68% of all U.S. households owned a pet in 2013, up from 62% in 2002. The number of pet-owning households totaled 82.5 million, representing a 10-year CAGR of 2.5%. In 2012, dogs and cats were the most popular pet species, owned by 46.7% and 37.3% of U.S. households, respectively. 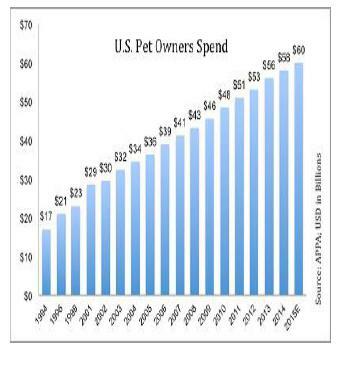 APPA also reported that there were 83.3 million dogs (10-year CAGR of +2.5%) and 95.6 million cats (10-year CAGR of +2.1%) in the U.S. In comparison, the total U.S. human population increased at +0.9% CAGR over the last decade. APPA reported that 2.8% of U.S. households owned horses in 2012. According to the APPA the total number of horses owned by U.S. households increased to 8.3 million in 2012, a 5% increase over the previous APPA survey conducted two years earlier. Osteoarthritis Market. Osteoarthritis, the most common inflammatory joint disease in both dogs and horses, is a progressive condition that is caused by a deterioration of joint cartilage. Over time the joint cartilage deterioration creates joint stiffness from mechanical stress resulting in inflammation, pain and loss of range of motion, which may be referred to as lameness. Osteoarthritis joint stiffness and lameness worsens with time from gradual cartilage degeneration and an ongoing loss of protective cushion and lubricity (i.e., loss of slippery padding). As there is no cure for osteoarthritis, the various treatment methods are focused on managing the related symptoms of pain and inflammation. Veterinarians recommend several treatments depending on the severity of the disease, including a combination of rest, weight loss, physical rehabilitation, and a regimen of pain and anti-inflammatory drugs (NSAIDs). Non-steroidal anti-inflammatory drugs (NSAIDs) are used to alleviate the pain and inflammation caused by OA, but long-term NSAIDs cause gastric problems. Moreover, NSAIDs do not treat the cartilage degeneration issue to halt or slow progression of the OA condition. The prevalence of companion animal osteoarthritis is estimated through a variety of methods. In looking at the dog osteoarthritis incidence Spencer Johnston’s article “Osteoarthritis. Joint anatomy, physiology, and pathobiology” is often cited, this article reports that 20% of all dogs over the age of one year suffer from osteoarthritis. Using this simple methodology, management has estimated that 20% of the total dog population is under age one. 83.3 million – 20% = 66.6 million x 20% with OA = 13.3 million dogs with OA in U.S.
Our osteoarthritis market data has been validated by a number of reports evaluating a new NSAID that is estimated to be ready for commercial sale by Aratana Therapeutics, Inc. (PETX) in 2016. Craig-Hallum’s July 22, 2013 institutional research report on Aratana Therapeutics estimates the U.S. dog osteoarthritis market at 16.6 million dogs. William Blair & Company, L.L.C. released a July 25, 2013 Equity Research report by Aratana Therapeutics that concluded that roughly 10% of dogs and cat suffer from osteoarthritis. (83.3 million dogs x 10% = 8.3 million dogs with OA) Stifel issued report on Aratana Therapeutics dated July 22, 2013 that estimated the osteoarthritis market to be 55% of dogs over the age of 10. This equates to a US market in 2014 of 7.1 million dogs with osteoarthritis. The equine osteoarthritis is the most common cause of lameness in horses. The annual average costs for diagnosis and treatment of equine lameness is $3,000 per horse, with downtime & homecare costs being much higher (Oke and McIlwraith, 2010). “The USDA National Economic Cost of Equine Lameness… in the United States” published by 1978 places the annual incidence of lameness at 8.5-13.7 lameness events/100 horses. As noted previously, the APPA reported the total number of horses owned by U.S. households increased to 8.3 million in 2012. A 2007 publication by Emily Kilby “The Demographics of the U.S. Equine Population” concludes the horse population for 9,464,200 in 2006 with racehorses being 9% of that population or 846,000 horses. The article “The Occurrence and Causes of Lameness and Laminitis in the U.S. Horse Population” estimates that 17% of racehorses and 5.4% of the rest of the horse population go lame annually. Based on the above assumptions we calculate that there are up to 611,658 new lame horses each year. Most U.S. veterinarians buy a majority of their equipment and supplies from a preferred distributor. More than 75% of veterinarians name Butler Schein Animal Health, Inc., Webster Veterinary Supply Inc. (recently acquired by Patterson), MWI, Midwest Veterinary Supply, Inc. or Victor Medical Company as their preferred distributor. Combined, these top-tier distributors sell more than 85%, by revenue, of the products sold to companion animal veterinarians in the U.S. Butler, Webster and MWI are recognized by manufacturers, distributors and veterinarians as the pre-eminent national companion animal veterinary supply distributors in the US. There are no other distributors that provide equivalent levels of service to manufacturers and regularly visit veterinarians in as wide a geographic area as Butler, Webster or MWI. Midwest and Victor are large, regional distributors, also with strong reputations for high-quality service. The above data in this paragraph was sourced from File No. 101 0023 at the U.S. Federal Trade Commission. Our product distribution will leverage the existing supply chain and veterinary clinic and clinician relationships already established by these large distributors. We intend to support and supplement this distribution channel with regional business development & training representatives. Our business development representatives will provide product training to distribution representatives, veterinarians and other veterinary staff. In addition, our representatives will exhibit at key veterinary conferences as well as support ongoing case studies. All of these sales, distribution, marketing and education efforts will also be supported by both veterinarian and pet owner product education and treatment awareness campaigns that will be conducted utilizing a variety of social media tools. The unique nature and the anticipated benefits provided by our initial Kush products are expected to generate significant consumer response. AppTec Laboratories accomplished a gel-particle rabbit study. In short, New Zealand white rabbits (6) were injected in both stifle joints (knees) to fill but not extend the synovial space (~0.5 cc GDP/site).Rabbits were tested every other day for abnormal clinical signs including range of motion and joint observations until sacrifice. Behavioral testing revealed no abnormal scores for range of motion, withdrawal response, or joint observations (all animals were 100% normal). At one week and at four weeks the animals were sacrificed. 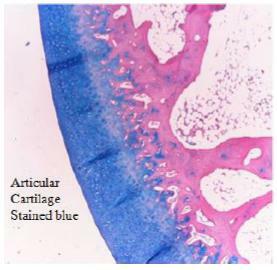 AppTec pathologists evaluated knee joint histology. The reported cartilage surfaces of the femoral and tibia condyles and the menisci were grossly and histologically 100% normal for all animals and test sites. 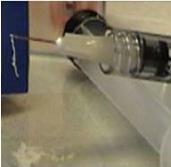 The test particles were found in all of the injection sites. The test particle did not cause changes in the articular cartilage of the femur or tibia when injected into the stifle joint of rabbits. The test article and control rabbit knees were not different for either 1 or 4-week time points for all histological measurements. In conclusion, the particles do not cause inflammation or damage to knee joint and will stick to exposed tissues and biologically integrate with those tissues. 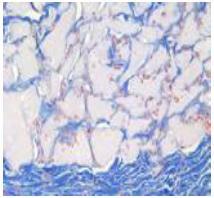 The particles were not found to stick to articular cartilage in any sample. The particles devices for joint injections have been extensively studied for a broad range of applications including the treatment of wrinkles as dermal filler. Here is an overview of the pre-clinical and clinical studies completed on CosmetaLife, which is the name used for particle device when they used as a dermal filler. 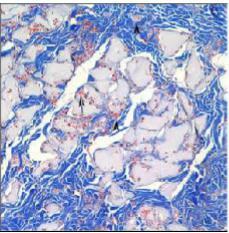 The image at left shows collagen in blue, fibroblasts in red and CosmetaLife in gray. Note the typical cellularization and integration of collagen within the CosmetaLife matrix perimeter. Also notice the fibroblasts (collagen producers) are integrated throughout the injection site. Microvascularization, indicated by arrowheads, is also present in several locations. There is little to no sign of inflammation. CosmetaLife is an easy-to-inject, water-protein-based dermal filler that not only fills nasolabial wrinkle depressions but also helps rejuvenate the dermal tissues, counteracting damage that causes wrinkles. 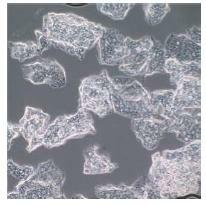 The dermal cells are attracted to the CosmetaLife gel-particles, attach to them, and then slowly replace them with natural dermal material (extracellular matrix). The natural biological replacement process of CosmetaLife to collagen is estimated to take 6-12 months. CosmetaLife clinical trial on nasolabial folds supports this estimate. According to current scientific thought, the resulting natural extracellular matrix, comprised mostly of collagen, is estimated to last 10-16 years. CosmetaLife injections allow the body to create more natural dermal structure in and around every particle. Enhancing the natural process of dermal tissue construction with CosmetaLife allows for long-term dermal contouring, corrections, and rejuvenation with little to no adverse side effects noted in clinical trials. The Company has conducted several biocompatibility animal studies. In the implantation study, no abnormal clinical signs were noted for any of the rabbits. The results of the sensitization study in guinea pigs showed a sensitization response equivalent to the negative controls. The results of the histological report on the rabbit skin biopsies clearly demonstrate structural integration of the particles into the host tissues by week 12. Evaluators observed the particle material integration with normal tissue, remodeled and/or new collagen, and fibroblasts throughout the injected particles, mild to no inflammation, and new collagen-matrix production. A Food and Drug Administration (FDA) IDE approved pivotal human clinical trial was begun with CosmetaLife late in 2006. The clinical trial was a randomized, double-blind, parallel assignment, multi-center comparison of the safety and efficacy of CosmetaLife versus Restylane® (Control) for the correction of nasolabial folds. One hundred seventy-one patients were skin tested and 145 were treated at six trial sites. The number of study exits after treatment totaled four subjects. This clinical trial was reported and published at www.clinicaltrial.gov (NCT00414544). The feedback from physician investigators has been positive with respect to CosmetaLife injection qualities, cosmetic appearance, and its feel to the touch. During the first three to four months of the study, CosmetaLife showed no decrease in efficacy, as compared to Restylane that showed an 11 percent decrease in efficacy. The FDA/IDE approved human clinical trial for the CosmetaLife product through twelve months was found to be the same as compared to control hyaluronic acid product, Restylane (for each interval the consensus of the blinded subjects tested preferred CosmetaLife or showed no preference at 3, 6, 9 and 12 months). 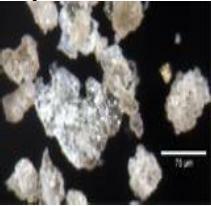 CosmetaLife particles, shown in figure to the left, were photographed from a light microscope under high magnification. GDP particles were immersed in a saline solution to help disperse them for better viewing. These particles are approximately 100 microns in size (0.1 mm in diameter). Gel-Del Technologies uses existing, scalable processes to reduce the infrastructure requirements and manufacturing risks to deliver a consistent high-quality product while being responsive to volume requirements. Gel-Del is scaling the manufacturing process for Gel-Del Particles production, to date making batches in up to 2.0-kilogram quantities to near GMP (Good Manufacturing Practices) standards. Particles Safety Study. Patients injected with CosmetaLife were found to have no or mild inflammatory, irritation, or immunogenic responses. These results suggest the particles are biocompatible because it closely matches the skin structure, composition, and moisture content. The no-to-low immunogenic responses are attributed to the tight cross-linking of the GDP matrix, which prevents immunogenic progenitor cells from producing antibodies. In the clinical trial, the incidence of possible reaction to a skin test was 2.55 percent, with only one subject showing a reaction to a second test or 0.6%, (1 out of 171). We also have a study report by AppTec, Inc., our Contract Research Organization, that GDP (CosmetaLife) did not produce an antibody response during the clinical trial further supporting our belief that GDP is safe to use. Gel-Del Particles are composed of materials that approximately meet the Generally Regarded As Safe (GRAS) requirements of the FDA. GDP contains materials from certified bovine and porcine tissue sources that do not harbor prion disease or BSE. Additionally, steps in the manufacturing process have been validated for deactivating all viruses. Extrusion force testing and the Clinical Trial usage both demonstrate the consistent and easy injection of GDP. Twenty-five month stability testing shows that GDP is stable at room temperature conditions. Moreover, GDP has been shown to be stable at 40 °C (104 °F) conditions for at least 3 months. The development and commercialization of new animal health medicines is highly competitive, and we expect considerable competition from major pharmaceutical, biotechnology and specialty animal health medicines companies. As a result, there are, and likely will continue to be, extensive research and substantial financial resources invested in the discovery and development of new animal health medicines. Our potential competitors include large animal health companies, such as Zoetis, Inc.; Merck Animal Health, the animal health division of Merck & Co., Inc.; Merial, the animal health division of Sanofi S.A.; Elanco, the animal health division of Eli Lilly and Company; Bayer Animal Health, the animal health division of Bayer AG; NAH, the animal health division of Novartis AG; Boehringer Ingelheim Animal Health, the animal health division of Boehringer Ingelheim GmbH; Virbac Group; Ceva Animal Health; Vetoquinol and Dechra Pharmaceuticals PLC. We are also aware of several smaller early stage animal health companies, such as Kindred Bio, Aratana Therapeutics Inc., NextVet and VetDC that are developing products for use in the pet therapeutics market. An investment in our securities involves a high degree of risk. You should carefully consider the following described risks together with all other information included in this prospectus before making an investment decision with regard to this offering. If one or more of the following risks occurs, our business, financial condition, and results of operations could be materially harmed, which most likely would result in a decline in the trading price of our Stock and investors losing part or even all of their investment. We have incurred substantial losses to date and could continue to incur such losses. We have incurred substantial losses since commencing our business. For our fiscal years ended March 31, 2018 and 2017, we lost approximately $1.97 million and $16.52 million, respectively, without obtaining any commercial revenues. And as of March 31, 2018, we had an accumulated deficit of approximately $47.4 million. In order to achieve and sustain future revenue growth, we must succeed in our current commercialization of our Kush Particulate Systems (“Kush”) for treatment of dogs and horses suffering from osteoarthritis. That will require us to produce our products effectively in commercial quantities, establish adequate sales and marketing systems, and gain significant support from veterinarians in the use of our products. We expect to continue to incur losses until such time, if ever, as we succeed in significantly increasing our revenues and cash flow beyond what is necessary to fund our ongoing operations and pay our obligations as they become due. We may never generate revenues sufficient to become profitable or to sustain profitability. Our auditors have expressed doubt about our ability to continue as a going concern. The report of our independent registered accounting firm that audited our March 31, 2017 and 2018 financial statements included an explanatory paragraph expressing substantial doubt about our ability to continue as a going concern. Our ability to continue as a going concern is contingent primarily upon our continuing to raise sufficient working capital to support our operations until attaining profitability, which may never happen. If we are unable to raise capital from this offering, we may not be able to continue as a going concern. If we are unable to obtain sufficient funding, we may have to reduce materially or even discontinue our business. We have limited cash available to commercialize our Kush products and accordingly are dependent upon raising substantial funding from either private or public sale of our equity securities. If we are unable to obtain substantial financing in the near future, we will need to delay significantly or even discontinue our operations. We also most likely will require additional financing to develop additional new products or to expand into foreign markets. Along with establishing effective production, marketing, sales and distribution of our Kush products, we believe that our future capital requirements depend upon the timing and costs of many factors with some of them beyond our control, including our ability to establish an adequate base of veterinarian clinics using our products, costs in obtaining patents and any required regulatory approvals for future products, costs of any future target animal studies, costs related to new product development, costs of finished product inventory, expenses to attract and retain skilled personnel as needed, increased costs related to being a listed public company, and the costs of any future acquisitions of existing companies or IP technologies. There is no assurance that future additional capital will be available to us as needed, or if available upon terms acceptable to us. We have a limited operating history upon which to base an evaluation of our prospects. We have had no material commercial operations, since our primary efforts and resources have been directed toward acquiring our technology to produce and sell proprietary products for the pet animal market. Our lack of an operating history makes an evaluation of our business and prospects very difficult. Our prospects must be considered speculative, especially considering the risks, expenses and difficulties frequently encountered in the establishment of an emerging growth company. Our ability to operate our business successfully remains unknown and untested. If we cannot commercialize our products effectively, or are significantly delayed or limited in doing so, our business and operations will be harmed substantially, and we may even need to cease operations. We are substantially dependent upon the success of our recently introduced Kush products, and any failure of these products to achieve market acceptance would harm us significantly. Our recent efforts and financial resources have primarily been directed toward commercialization of our initial Kush products for the treatment of dogs and horses suffering from osteoarthritis. Accordingly, our prospects rely heavily on the successful launch and follow-up marketing of these products. As well as establishing effective production, marketing, sales, distribution and training for our Kush products, we believe their successful commercialization will depend on other material factors including our ability to educate and convince veterinarians and pet owners about the benefits, safety and effectiveness of our Kush products, the occurrence and severity of any side effects to pets from use of our products, maintaining regulatory compliance and effective quality control for our products, our ability to maintain and enforce our patents and other intellectual property rights, any increased manufacturing costs from third-party contractors or suppliers, and the availability, cost and effectiveness of treatments offered by competitors. If we fail to attract and retain qualified management and key scientific personnel, we may be unable to successfully commercialize our current products or develop new products effectively. Our success depends significantly upon our current management and key scientific technicians, and also on our continued ability to attract, retain and motivate future management and technology employees. We are highly dependent upon our current management and technology personnel, and the loss of the services of any of them could delay or prevent the successful commercialization or development of current or future products. Competition to obtain qualified personnel in the animal health field is intense due to the limited number of individuals possessing the skills and experience required by our industry. We may not be able to attract or retain qualified personnel as needed on acceptable terms, or at all, which would harm our business and operations. Our operations rely on various third party vendors, and any loss of one or more of our key vendors may affect our financial position and results of operations adversely. We will rely on third party vendors or contractors to provide ingredients for and produce our Kush products. Any loss of one or more of these third-party contractors could disrupt our business adversely and cause a material negative effect on our operations. In particular, our Kush products currently are produced for us by an experienced independent contract manufacturer based in Rochester, Minnesota. Any loss of this third-party producer for any reason, or its inability to produce Kush product quantities on a timely basis to fulfill purchase orders from our customers, would harm our business and operations substantially. In any such event that requires us to seek and source another qualified third-party manufacturer, we most likely would encounter material delays and increased costs, which would affect our business adversely. The raw materials used to manufacture our Kush products are readily available and can be obtained from multiple reliable sources on a timely basis. If we experience rapid commercial growth, we may not be able to manage such growth effectively. Any rapid growth we may experience while commercializing our Kush or any other proprietary products will place significant new demands on our management and our operational and financial resources. Our organizational structure may become more complex as we add additional personnel, and we would likely require more financial and staff resources to support and continue our growth. If we are unable to manage our growth effectively, our business, financial condition and results of operations may be materially harmed. We have a limited marketing and sales organization, and if our current marketing and sales personnel are insufficient or inadequate to support the current introduction of our Kush products, we may not be able to sell these products in quantities to become commercially successful. We have a limited marketing and sales organization, and we have minimal prior experience in the marketing, sale and distribution of pet care products. There are significant risks involved in our building and managing an effective sales organization, including our ability to hire, adequately train, maintain and motivate qualified individuals, generate sufficient sales leads and other contacts, and establish effective product distribution channels. Any failure or substantial delay in the development of our internal sales, marketing and distribution capabilities would adversely impact our business and financial condition. Our business will depend significantly on the sufficiency and effectiveness of our marketing and product promotional programs and incentives. Due to the highly competitive nature of our industry, we must effectively and efficiently promote and market our products through internet, television and print advertising, social media, and through trade promotions and other incentives to sustain and improve our competitive position in our market. Moreover, from time to time we may have to change our marketing strategies and spending allocations based on responses from our veterinarian customers and pet owners. If our marketing, advertising and trade promotions are not successful to create and sustain consistent revenue growth or fail to respond to marketing strategy changes in our industry, our business, financial condition and results of operations may be adversely affected. Any damage to our reputation or our brand may harm our business materially. Developing, maintaining and expanding our reputation and brand with veterinarians, pet owners and others is critical to our success. Our brand may suffer if our marketing plans or product initiatives are unsuccessful. The importance of our brand and demand for our products may decrease if competitors offer products with benefits similar to or as effective as our products and at lower costs to consumers. Although we maintain procedures to ensure the quality, safety and integrity of our products and their production processes, we may be unable to detect or prevent product and/or ingredient quality issues such as contamination or deviations from our established procedures. If any of our products cause injury to animals, we may incur material expenses for product recalls, and also may be subject to product liability claims, which could damage our reputation and brand substantially. We may not be able to manage our manufacturing and supply chain effectively, which would harm our results of operations. We must accurately forecast demand for our products in order to have adequate product inventory available to fill customer orders timely. Our forecasts will be based on multiple assumptions that may cause our estimates to be inaccurate, and thus affect our ability to ensure adequate manufacturing capability to satisfy product demand. Any material delay in our ability to obtain timely product inventories from our manufacturing contractors and their ingredient suppliers could prevent us from satisfying increased consumer demand for our products, resulting in material harm to our brand and business. In addition, we will need to continuously monitor our inventory and product mix against forecasted demand to avoid having inadequate product inventory or having too much product inventory on hand. If we are unable to manage our supply chain effectively, our operating costs may increase materially. Failure to protect our intellectual property could harm our competitive position or cause us to incur significant expenses and personnel resources to enforce our rights. Our success will depend significantly upon our ability to protect our intellectual property (IP) rights, including patents, trademarks, trade secrets, and process know-how, which valuable assets support our brand and the perception of our products. We rely on patent, trademark, trade secret and other intellectual property laws, as well as non-disclosure and confidentiality agreements to protect our intellectual property. Our non-disclosure and confidentiality agreements may not always effectively prevent disclosure of our proprietary IP rights, and may not provide an adequate remedy in the event of an unauthorized disclosure of such information, which could harm our competitive position. We also may need to engage in costly litigation to enforce or protect our patent or other proprietary IP rights, or to determine the validity and scope of proprietary rights of others. Any such litigation could require us to expend significant financial resources and also divert the efforts and attention of our management and other personnel from our ongoing business operations. If we fail to protect our intellectual property, our business, brand, financial condition and results of operations may be materially harmed. We may be subject to intellectual property infringement claims, which could result in substantial damages and diversion of the efforts and attention of our management. We must respect prevailing third-party intellectual property, and the procedures and steps we take to prevent our misappropriation, infringement or other violation of the intellectual property of others may not be successful. If third parties assert infringement claims against us, our contract manufacturers or suppliers, or veterinarians using our products and technology, we could be required to expend substantial financial and personnel resources to respond to and litigate or settle any such third-party claims. Although we believe our patents, manufacturing processes and products do not infringe in any material respect on the intellectual property rights of other parties, we could be found to infringe on such proprietary rights of others. Any claims that our products, processes or technology infringe on third-party rights, regardless of their merit or resolution, could be very costly to us and also materially divert the efforts and attention of our management and technical personnel. Any adverse outcome to us from one or more such claims against us could, among other things, require us to pay substantial damages, to cease the sale of our products, to discontinue our use of any infringing processes or technology, to expend substantial resources to develop non-infringing products or technology, or to license technology from the infringed party. If one or more of such adverse outcomes occur, our ability to compete could be affected significantly and our business, financial condition and results of operations could be harmed substantially. We may be unable to obtain required regulatory approvals for future products timely or at all, and the denial or substantial delay of any such approval could delay materially or even prevent our efforts to commercialize new products, which could adversely impact our ability to generate future revenues. Based on our determination that our Kush products constitute a medical device as opposed to a pharmaceutical product, we are not required to obtain regulatory approval to produce and market them. Regarding the production, marketing and sale of any future pet care products based on our proprietary technology and which cannot be deemed a medical device, however, we may be required to obtain regulatory approval from the Center for Veterinarian Medicine (CVM), a branch of the FDA, and/or the USDA, and also certain state regulatory authorities. Any substantial delay or inability to obtain required regulatory approvals for any new products developed by us could substantially delay or even prevent their commercialization, which would materially adversely impact our business and prospects. Moreover, at such future time that we commence business internationally, our products will need to obtain regulatory approval for labeling, marketing and sale in foreign countries from authorities such as the European Commission (EU) or the European Medicine Agency (EMA). Any substantial delay or inability to obtain any necessary foreign regulatory approvals for our products would harm our business and future prospects materially. Our products will face significant competition in our industry, and our failure to compete effectively may prevent us from achieving any significant market penetration. The development and commercialization of pet care products is highly competitive, including significant competition from major pharmaceutical, biotechnology, and specialty animal health medical companies. Our competitors include Zoetis, Inc.; Merck Animal Health, the animal health division of Merck & Co., Inc.; Merial, the animal health division of Sanofi, S.A.; Elanco, the animal health division of Eli Lilly and Company; Bayer Animal Health, the animal health division of Bayer AG; Novartis Animal Health, the animal health division of Novartis AG; Boehringer Ingelheim Animal Health; Virbac Group; Ceva Animal Health; Vetaquinol; and Dechra Pharmaceuticals PLC. There also are several smaller stage animal health companies which have recently emerged in our industry and are developing pet therapeutics products, including Kindred Bio, Aratana Therapeutics, Next Vet, and VetDC. Since we are an early-stage company with limited operations and financing, virtually all of our competitors have substantially more financial, technical and personnel resources than us. Most of them also have established brands and substantial experience in the development, production, regulation and commercialization of animal health care products. Regarding our development of any new products or technology, we also compete with academic institutions, governmental agencies and private organizations that conduct research in the field of animal health medicines. We expect that competition in our industry is based on several factors including primarily product reliability and effectiveness, product pricing, product branding, adequate patent and other IP protection, safety of use, and product availability. 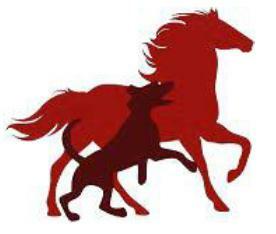 Although currently and for some time our efforts and financial resources will focus on successfully commercializing our patented Kush products, our future business strategy will identify future animal care products for licensing, acquiring or developing by us, and then commercializing them into a branded product portfolio along with our Kush products. Even if we successfully identify and license, produce from our proprietary technology, or acquire any such new products, however, we may still fail to commercialize them successfully due to various reasons including competitors offering alternative products which are more effective than ours, our discovery of third-party IP rights already covering the products, harmful side effects caused to animals by the products, inability to produce products in commercial quantities at an acceptable cost, or the products not being accepted by veterinarians and pet owners as being safe or effective. If we fail to successfully obtain and commercialize future new animal care products, our business and future prospects may be harmed substantially. There may be decreased spending on pets in a challenging economic climate. Our business may encounter a challenging and negative economic climate during any future recession including adverse changes in interest rates, material inflation, volatile commodity markets, and credit unavailability or restrictions, resulting in a reduction in consumer spending. The keeping of pets and level of purchasing pet-related products in such negative economic conditions may constitute discretionary spending for some consumers, and any material decline in consumer discretionary spending may reduce overall levels of pet ownership or at least spending on pets. Accordingly, a significant slowdown in the general economy may cause a material decline in the demand for our products. We will rely on third-party contractors to conduct any target animal studies for new products, and if these third parties do not successfully perform their contracted commitments effectively or substantially fail to meet expected study deadlines, we could be delayed significantly or even prevented from obtaining regulatory approval for or effectively commercializing our future products. We do not conduct our target animal studies, but rather we rely on qualified and experienced third-party contractors to conduct these significant studies. Generally, we will have limited ability to control the amount of timing or resources that they will devote to our particular target animal studies. Although we must rely on these third parties to conduct our studies, we remain responsible for ensuring any of our target animal studies are conducted in compliance with protocols, regulations and standards set by industry regulatory authorities and commonly referred to as current good clinical practices (cGCSs) and good laboratory practices (GLPs). These required clinical and laboratory practices include many items regarding the conducting, monitoring, recording and reporting the results of target animal studies to ensure that the data and results of these studies are objective and scientifically credible and accurate. A failure of one or more key information technology systems, networks or processes may harm our ability to conduct our business effectively. The effective operation of our business and operations will depend significantly on our information technology and computer systems. We will rely on these systems to effectively manage our sales and marketing, accounting and financial, and legal and compliance functions, new product development efforts, research and development data, communications, supply chain and product distribution, order entry and fulfillment, and other business processes. Any material failure of our information technology systems to perform satisfactorily, or their damage or interruption from circumstances beyond our control such as power outages or natural disasters, could disrupt our business materially and result in transaction errors, processing inefficiencies, and even the loss of sales and customers., causing our business and results of operations to suffer materially. Being a public company results in substantial expenses and diverts management’s attentions. Our business must bear the expenses associated with being a public company including being subject to the reporting requirements of the Securities Exchange Act of 1934. These requirements generate significant accounting, auditing, legal and financial compliance costs, and may place significant strain on our personnel and resources. As a result, management’s attention may be diverted from other significant business concerns, which could have an adverse material effect on our business, financial condition and results of operations. If we fail to establish and maintain an effective system of internal controls over financial reporting, we may not be able to report our financial results accurately or detect fraud. In that event, investors and the financial community could lose confidence in our financial reporting, which in turn may result in a decline in the trading price of our stock, or otherwise harm our operating results and financial condition. Internal controls over financial reporting are processes designed to provide reasonable assurances regarding the reliability of financial reporting and the proper preparation of financial statements. We must maintain effective internal controls over financial reporting to provide reliable financial reports, avoid misstatements in our financial statements, and detect any fraud or material weaknesses in our internal controls. We are in the process of assessing our internal controls to identify changes needed to be implemented by us to remedy our material weaknesses. Any failure by us to implement the changes necessary to maintain an effective system of internal controls could harm our operating results materially and also cause investors and financial analysts to lose confidence in our reported financial information. Any such loss of confidence in the investment community would have a negative effect on the trading and price of our common stock. Ownership and control of our Company is concentrated in our management. Our officers and directors beneficially own or control approximately 65% of our outstanding shares of common stock, which concentrated ownership and control by our management could adversely affect the status and perception of our common stock. In addition, any material sales of common stock of our management, or even the perception that such sales will occur, could cause a material decline in the trading price of our common stock. Due to this majority concentration of ownership of our common stock, our management has the ability to control all matters requiring stockholder approval including the election of all directors, the approval of mergers or acquisitions, and other significant corporate transactions. Any person acquiring our common stock most likely will have no effective voice in the management of our company. This ownership concentration also could delay or prevent a change of control of the Company, which could deprive our stockholders from receiving a premium for their common shares. We do not anticipate paying any dividends on our common stock for the foreseeable future. We have not paid any dividends on our common stock to date, and we do not anticipate paying any such dividends in the foreseeable future. We anticipate that any earnings experienced by us will be retained to finance the implementation of our operational business plan and expected future growth. The elimination of monetary liability against our directors and executive officers under Nevada law and the existence of indemnification rights held by them granted by our bylaws could result in substantial expenditures by us. Our articles of incorporation eliminate the personal liability of our directors and officers to the Company and its stockholders for damages for breach of fiduciary duty to the maximum extent permissible under Nevada law. In addition, our bylaws provide that we are obligated to indemnify our directors or officers to the fullest extent authorized by Nevada law for costs or damages incurred by them involving legal proceedings brought against them relating to their positions with the Company. These indemnification obligations could result in our incurring substantial expenditures to cover the cost of settlement or damage awards against our directors or officers. Our Articles of Incorporation allow for our Board of Directors to create and designate new series of our preferred stock without any approval of our shareholders, which could diminish the rights of holders of our common stock. We have no outstanding preferred stock and no present intention to designate or issue any series of our preferred stock. Our Board of Directors, however, has the authority to fix and determine the relative rights and preferences of our authorized preferred stock without further common stockholder approval for issuance. Accordingly, our directors could authorize preferred shares, for example, that would grant a preference over common shareholders to our assets upon liquidation, or grant voting power and rights superior to those of common shares, or grant rights to preferred stock to accumulate and receive dividend payments before any dividend or other distribution to common shareholders, or grant special redemption terms and rights prior to any redemption of common shares, or grant rights convertible at favorable terms into common stock. Granting one or more of these or other preference rights to preferred stock could adversely affect the rights of our common stockholders such as decreasing the relative voting power of our common stock or causing substantial dilution to our common stockholders. There has been no consistent active trading market for our common stock, and public trading of our common stock may continue to be inactive and fluctuate substantially. There has never been a consistent active trading market for our common stock. Our common stock currently trades over-the-counter on the Pink Sheets tier of OTC Markets Group, Inc. There is no assurance that the trading market for our common stock will become more active or liquid. Moreover, the trading price of our common stock has fluctuated substantially over the past few years, and there remains a significant risk that our common stock price may continue to fluctuate substantially in the future in response to various factors including any material variations in our periodic operating results, departures or additions of management or other key personnel, announcements of acquisitions, mergers, or new technology or patents, new product developments, significant litigation matters, gain or loss of significant customers, significant capital transactions, substantial sales of our common stock in our trading market, and general and specific market and economic conditions. Our failure to meet financial performance guidance we have provided to the public could result in a decline in our stock price. In the future, we may provide public guidance on our expected financial results for future periods. Such guidance would be comprised of forward-looking statements comprised of material risks and uncertainties, and accordingly our actual results may differ materially from any such guidance we may provide. If our actual financial results for a particular operating period fail materially to satisfy our prior guidance, the market price of our common stock may decline. Additional issuance of equity securities may result in dilution to our existing stockholders. Our Articles of Incorporation authorize the issuance of 250,000,000 shares of common stock and 20,000,000 shares of preferred stock. The Board of Directors has the authority to issue additional shares of our capital stock to provide additional financing in the future, or for other matters in their discretion, and the issuance of any such shares may result in a reduction of the book value or market price of the then outstanding shares of our common stock. If we do issue any such additional shares in the future, such issuance also will cause a reduction in the proportionate ownership and voting power of current stockholders. Because we may be subject to the “penny stock” rules, the level of trading activity in our stock may be reduced and accordingly may make it difficult for investors to sell their shares. Broker-dealer practices in connection with transactions in “penny stocks” are regulated by certain penny stock rules adopted by the Securities and Exchange Commission. Penny stocks, like shares of our common stock, generally are equity securities with a price of less than $5.00, other than securities registered on certain national securities exchanges or quoted on NASDAQ. The penny stock rules require a broker-dealer, prior to a transaction in a penny stock not otherwise exempt from the rules, to deliver a standardized risk disclosure document that provides information about penny stocks and the nature and level of risks in the penny stock market. The broker-dealer also must provide the customer with current bid and offer quotations for the penny stock, the compensation of the broker-dealer and its salesperson in the transaction, and, if the broker-dealer is the sole market maker, the broker-dealer must disclose this fact and the broker-dealer’s presumed control over the market, and monthly account statements showing the market value of each penny stock held in the customer’s account. In addition, broker-dealers who sell these securities to persons other than established customers and “accredited investors” must make a special written determination that the penny stock is a suitable investment for the purchaser and receive the purchaser’s written agreement to the transaction. Consequently, these requirements may have the effect of reducing the level of trading activity, if any, in the secondary market for a security subject to the penny stock rules, and investors in our common stock may find it difficult to sell their shares. Property held by us. As of March 31, 2018, we do not own any interests in real estate. We rent our Edina, Minnesota office and other facilities in suburban Minneapolis under the provisions of a long-term lease. Our Facilities. Our executive, administrative, manufacturing and operating offices are located at 5251 Edina Industrial Blvd., Edina, Minnesota 55439. In addition, the Company rents on a monthly basis a small production facility in Rochester, Minnesota. We believe that our facilities are adequate for our needs and that additional suitable space will be available on acceptable terms as required. We are not currently a party to any legal proceedings. Our common stock is listed for quotation on the OTC Pink Sheets under the symbol “PETV.” The following table sets forth the high and low bid prices relating to our common stock on a quarterly basis for the periods indicated as quoted by the OTC Pink Sheets market. These quotations reflect inter-dealer prices without retail mark-up, mark-down, or commissions, and may not reflect actual transactions. The approximate number of stockholders of record at March 31, 2018 was 222. The number of stockholders of record does not include beneficial owners of our common stock, whose shares are held in the names of various dealers, clearing agencies, banks, brokers and other fiduciaries. We have never declared or paid a cash dividend on our capital stock. We do not expect to pay cash dividends on our common stock in the foreseeable future. We currently intend to retain our earnings, if any, for use in our business. Any dividends declared in the future will be at the discretion of our Board of Directors. In December 2017, the Company issued 37,741 shares of unregistered common stock to settle two notes valued at $13,210. i) In April-June, 2017, the Company sold 120,000 unregistered common shares in private placements to four investors for total proceeds of $42,000, which proceeds were used for working capital purposes. ii) In June 2017, the Company issued an aggregate of 1,418,528 unregistered common shares valued at $867,192 to four of its executive officers to settle outstanding accrued salaries owed to them; 21,338 shares valued at $5,690 were returned to the company subsequent to the date of this filing. iii) Also in June 2017, the Company issued an aggregate of 379,500 unregistered common shares valued at $156,825 to three persons for compensation for management and consulting services, including 160,000 shares valued at $80,000 issued to our Chief Executive Officer. The Company sold 1,500,000 shares of unregistered common stock to thirty-three investors for $525,000 through a private offering. The proceeds of the stock sales were used for working capital purposes. The Company issued 52,000 unregistered common shares valued at $58,000 to three individuals and FMW Media for consulting services ranging from business consulting, marketing services, and consulting services to convert toxic debt. The Company agreed to issue 250,000 unregistered common shares to one individual for $250,000 through a private offering. The proceeds of the stock sale were used for working capital purposes. i) The Company agreed to issue 10,000 unregistered common shares valued at $15,000 to one individual for capital-raising effort consulting services. ii) The Company agreed to issue 427,287 shares valued at $181,966 to two individuals to settle debt. On June 7, 2017 the Company’s President, John Lai, entered into an escrow agreement with the Company’s CEO, Wesley Hayne, whereby John transferred 1,250,000 shares valued at $370,000 of his personally-owned common stock to Wesley as incentive for performing the tasks of CEO. These shares are to be issued to Wesley ratably over a two-year period. This transaction was recorded in fiscal quarter four of the year ended March 31, 2018 as an expense on behalf of the company and recorded against Additional Paid in Capital. Stock Issued to Complete the Merger of PetVivo Holdings and Gel-Del Technologies, Inc. In September 2017, the Company issued 5,450,000 restricted shares pro rata to shareholders of Gel-Del Technologies, Inc. to complete the acquisition of all capital stock of Gel-Del, based on $.40 per share. All of the foregoing securities issuances were unregistered and made by us as non-public transactions. The shares of common stock were issued in reliance on Section 4(a)(2) under the federal Securities Act of 1933, as amended. SECURITIES AUTHORIZED FOR ISSUANCE UNDER EQUITY COMPENSATION PLANS. As of the date of this Annual Report, we have no compensation plans under which our equity securities were authorized for issuance. The following discussion of our financial condition and results of operations should be read in conjunction with our financial statements for the year ended March 31, 2018, together with notes thereto as included in this Annual Report on Form 10-K. The following discussion contains forward-looking statements that reflect our plans, estimates and beliefs. Our actual results could differ materially from those discussed in our forward-looking statements. Our audited financial statements are stated in United States Dollars and are prepared in accordance with United States Generally Accepted Accounting Principles. We are an emerging growth company and have not generated any material revenue to date. We have incurred recurring losses to date. Our financial statements have been prepared assuming that we will continue as a going concern and, accordingly, do not include adjustments relating to the recoverability and realization of assets and classification of liabilities that might be necessary should we be unable to continue in operation. We will require additional, substantial capital to meet our long-term operating requirements. We expect to raise additional capital through, among other things, the sale of equity or debt securities. Total Revenues. For fiscal year ended March 31, 2018, we earned $1,510 in revenue from product sold compared to $7,124 earned in product sold and consulting fees during fiscal year ended March 31, 2017 (a decrease of $5,644). These sales in both periods represented sample product sales, with no commercial sales. Operating Expenses. Operating expenses for fiscal year ended March 31, 2018 were $2,286,827 compared to $16,396,777 for fiscal year ended March 31, 2017 (a decrease of $14,109,950). For fiscal year ended March 31, 2018, our operating expenses consisted of: (i) $118,940 (2017: $167,891) in research and development; and (ii) $2,167,887 (2017: $16,228,886) in general and administrative. The major differences in general and administrative expenses were the large decrease from 2017 related to the $14 million impairment loss recorded on the Gel-Del and Cosmeta transaction. General and administrative expenses generally include corporate overhead, financial and administrative contracted services, marketing, and consulting costs. Thus, our operating loss for fiscal year ended March 31, 2018 was $2,337,338 compared to an operating loss of $16,521,698 for fiscal year ended March 31, 2017. Other Income (Expenses). Other expenses for fiscal year ended March 31, 2018 were $52,021 (2017: $132,045). Other expenses consisted of: (i) gain on settlement of debt of $22,000 (2017: $24,460); (ii) sale of equipment of -0- (2017: $32,000); and (iii) interest expense of $74,021 (2017: $188,505). Net Loss before Taxes. Our net loss before taxes for fiscal year ended March 31, 2018 was ($2,337,338) as compared to ($16,521,698) for fiscal year ended March 31, 2017. Net loss generally decreased primarily due to the following differences in fiscal year ended March 31, 2018: (i) no impairment loss from Gel-Del merger of $14,081,031; (ii) increased employee compensation costs of $126,724; (iii) less depreciation and amortization of $103,456; (iv) less stock for services of $312,475; (v) less other cost reductions of $85,822; and (vi) more warrant expense of $271,700. Interest. During fiscal year ended March 31, 2018, we incurred $74,021 in interest expense as compared to $188,505 in interest expense incurred during fiscal year ended March 31, 2017. Net Loss Attributable to PetVivo. Therefore, our net loss for fiscal year ended March 31, 2018 was ($2,337,338) or ($0.14) per share compared to a net loss for fiscal year ended March 31, 2017 of ($15,531,533) or ($1.73) per share. The weighted average number of shares outstanding during fiscal year ended March 31, 2018 was 16,943,892 compared to 8,955,222 for fiscal year ended March 31, 2017. As of March 31, 2018, our current assets were $295,700 and our current liabilities were $1,431,133 which resulted in a working capital deficit of $1,135,433. As of March 31, 2018, our current assets were comprised of: (i) $237,335 in cash and cash equivalents; (ii) $163 in accounts receivable; and (iii) $19,948 in prepaid expenses. As of March 31, 2018, our total assets were $1,567,781 comprised of: (i) current assets of $295,700; (ii) $18,571 in property and equipment (valued at $122,682 less depreciation of $104,111); and (iii) trademark and patents – net valued at $1,253,510. As of March 31, 2018, our current liabilities were comprised of: (i) $1,238,034 in accounts payable and accrued expenses; and (ii) $193,099 in notes payable and accrued interest – related party. Stockholders’ equity decreased from $819,745 as at March 31, 2017 to $ 136,648 as at March 31, 2018. At the present time the Company has sufficient funds to begin initial commercial operations with a recent move into a new office and other facilities in suburban Minneapolis for the commencement of marketing KUSH products. The Company has secured sales and marketing teams to sell product, and production has commenced at our outsourced independent contract manufacturer in Rochester MN. To effectively commercialize our Kush products, however, the Company will need to soon raise substantial capital, which there is no assurance will happen. The Company added new independent board members and has formed a business advisory committee. The Company has established an Audit and Compensation Committee, both of which include only independent directors. Cash Flows from Operating Activities. We have not generated positive cash flows from operating activities due to a lack of a source of revenues. For the fiscal year ended March 31, 2018, net cash flows used in operating activities was ($579,153) (2017: ($143,017)). Net cash flows used in operating activities during fiscal year ended March 31, 2018 consisted primarily of a net loss of ($2,337,338) (2017: ($16,521,698)), which was adjusted by: (i) induced dividend from warrant expense of $30,000 (2017: $-0-); (ii) ($22,000) gain on a settlement of debt (2017: $-0-) (iii) $-0- in non-cash consulting expense (2017: $134,400); (iv) $862,861 (2017: $395,359) in stock-based compensation; (v) ($342,727) (2017: $1,289,921) stock compensation adjustment; (vi) $-0- (2017: $151,476) in stock issued for interest; (vii) $643,388 (2017: $746,845) in depreciation and amortization; (viii) $-0- (2017: $3,311) in amortization of debt issue costs; (ix) $-0- (2017: $14,081,031) goodwill and patent impairment loss; (x) $-0- (2017: ($24,460)) in forgiveness of debt. Net cash flows used in operating activities during fiscal year ended March 31, 2018 were further changed by: (i) ($25,554) (2017: $-0-) increase in inventory; (ii) an (increase) decrease in prepaid expenses of ($11,358) (2017: $26,431); (iii) an increase in advances and receivables of ($2,500) (2017: ($163)) and (iii) an increase (decrease) in accounts payable and accrued expenses of ($594,144) (2017: $425,470). Cash Flows from Investing Activities. For fiscal year ended March 31, 2018, net cash flows used by investing activities was ($62,919) (2017: ($36,465)) consisting of: (i) a ($10,200) (2017: -0-) increase in security deposit and other assets; (ii) ($19,179) (2017: -0-) purchase of equipment; (iii) ($33,540) compared to net cash flows used by investing activities during fiscal year ended March 31, 2017 of ($36,465) consisting of change in intangible assets. Cash Flows from Financing Activities. We have financed our operations primarily from debt or the issuance of equity instruments. For fiscal year ended March 31, 2018, net cash flows provided from financing activities was $853,973 (2017: $204,658) consisting of: (i) $877,000 (2017: $99,750) in proceeds from stock; (ii) ($3,956) (2017; $1,230) Increase (decrease) in notes to related parties; (iii) $-0- (2017: $105,000) in proceeds from convertible loan, which was offset by ($-0-) (2017: ($35,000)) in repayments; and (iv) $-0- (2017: $12,500) in proceeds from loans, which was offset by ($19,071) (2017: ($38,822)) in repayments. We are indebted to related parties. At March 31, 2018, we are obligated for unpaid officer salaries and advances of $663,164. This amount is included in accounts payable and accrued expenses. As of the date of this Annual Report, we do not have any off-balance sheet arrangements that have or are reasonably likely to have a current or future effect on our financial condition, changes in financial condition, revenues or expenses, results of operations, liquidity, capital expenditures or capital resources that are material to investors. The independent auditors’ report accompanying our March 31, 2018 financial statements contains an explanatory paragraph expressing substantial doubt about our ability to continue as a going concern. The financial statements have been prepared “assuming that we will continue as a going concern,” which contemplates that we will realize our assets and satisfy our liabilities and commitments in the ordinary course of business. We have suffered recurring losses from operations, have a working capital accumulated deficit, and are currently in default of the payment terms of certain note agreements. These factors raise substantial doubt about our ability to continue as a going concern. The following describes the recently issued accounting standards used in reporting our financial condition and results of operations. In some cases, accounting standards allow more than one alternative accounting method for reporting. In those cases, our reported results of operations would be different should we employ an alternative accounting method. The FASB issued ASC 606 as guidance on the recognition of revenue from contracts with customers in May 2014 with amendments in 2015 and 2016. Revenue recognition will depict the transfer of promised goods or services to customers in an amount that reflects the consideration to which the entity expects to be entitled in exchange for those goods or services. The guidance also requires disclosures regarding the nature, amount, timing and uncertainty of revenue and cash flows arising from contracts with customers. The guidance permits two methods of adoption: retrospectively to each prior reporting period presented, or retrospectively with the cumulative effect of initially applying the guidance recognized at the date of initial application (the cumulative catch-up transition method). The company will adopt the guidance on April 1, 2018 and apply the cumulative catch-up transition method. The transition adjustment to be recorded to stockholders’ equity upon adoption of the new standard is not expected to be material. All newly issued accounting pronouncements but not yet effective have been deemed either immaterial or not applicable. Stockholders of Petvivo Holdings, Inc.
We have audited the accompanying balance sheets of Petvivo Holdings, Inc. (the Company) as of March 31, 2018 and 2017 and the related statements of income, changes in stockholders’ equity, and cash flows for each of the years in the two-year period ended March 31, 2018, and the related notes (collectively referred to as the financial statements). In our opinion, the financial statements present fairly, in all material respects, the financial position of the Company as of March 31, 2018 and 2017, and the results of its operations and its cash flows for each of the years in the two-year period ended March 31, 2018 and 2017, in conformity with accounting principles generally accepted in the United States of America. The accompanying financials have been prepared assuming the Company will continue as a going concern. As of December 31, 2017, the Company had accumulated losses of approximately $47,258,000, has generated limited revenue, and may experiences losses in the near term. These factors and the need for additional financing in order for the Company to meet its business plan, raise substantial doubt about its ability to continue as a going concern. Management’s plan to continue as a going concern is also described in Note 4. The financial statements do not include any adjustments that might result from the outcome of this uncertainty. These financial statements are the responsibility of the Company’s management. Our responsibility is to express an opinion on the Company’s financial statements based on our audits. We are a public accounting firm registered with the Public Company Accounting Oversight Board (United States) (PCAOB) and are required to be independent with respect to the Company in accordance with the U.S. federal securities laws and the applicable rules and regulations of the Securities and Exchange Commission and the PCAOB. We conducted our audits in accordance with the standards of the PCAOB. Those standards require that we plan and perform the audit to obtain reasonable assurance about whether the financial statements are free of material misstatement, whether due to error or fraud. The Company is not required to have, nor were we engaged to perform, an audit of its internal control over financial reporting. As part of our audits, we are required to obtain an understanding of internal control over financial reporting, but not for the purpose of expressing an opinion on the effectiveness of the Company’s internal control over financial reporting. Accordingly, we express no such opinion. Our audits included performing procedures to assess the risks of material misstatement of the financial statements, whether due to error or fraud, and performing procedures that respond to those risks. Such procedures included examining, on a test basis, evidence regarding the amounts and disclosures in the financial statements. Our audits also included evaluating the accounting principles used and significant estimates made by management, as well as evaluating the overall presentation of the financial statements. We believe that our audits provide a reasonable basis for our opinion. PetVivo Holdings, Inc. (the “Company”) was incorporated in Nevada under a former name in 2009, and entered its current business in 2014 through a stock exchange reverse merger with PetVivo, Inc., a Minnesota corporation. This merger resulted in Minnesota PetVivo becoming a wholly-owned subsidiary of the Company. In April 2017, the Company acquired another Minnesota corporation, Gel-Del Technologies, Inc., through a statutory merger, which is also a wholly-owned subsidiary of the Company. The accompanying consolidated financial statements have been prepared in accordance with accounting principles generally accepted in the United States (“GAAP”) and pursuant to the rules and regulations of the SEC. The Company is in the business of distribution of medical devices and biomaterials for the treatment of afflictions and diseases in animals. The Company’s management, development, and other operations are conducted from its headquarter facilities in suburban Minneapolis, Minnesota. The accompanying consolidated financial statements include the accounts of the Company and its two wholly-owned Minnesota corporations. All intercompany accounts have been eliminated upon consolidation. The accounting for the acquisition of Gel-Del Technologies, Inc. began with the Security Exchange Agreement on April 10, 2015 which was uncompleted, and as adjusted for completion pursuant to the Agreement and Plan of Merger effective April 10, 2017 (the “Merger”). To complete the Merger, the Company issued 5,450,000 shares valued at market at $0.40 per share, which equaled $2,180,000. In preparing financial statements in conformity with generally accepted accounting principles, management is required to make estimates and assumptions that affect the reported amounts of assets and liabilities and the disclosure of contingent assets and liabilities at the date of the financial statements and revenues and expenses during the reported period. Actual results could differ from those estimates. Significant estimates include estimated useful lives and potential impairment of property and equipment, estimate of fair value of share-based payments and derivative instruments and recorded debt discount, valuation of deferred tax assets and valuation of in-kind contribution of services and interest. The Company considers all highly-liquid, temporary cash investments with an original maturity of three months or less to be cash equivalents. At March 31, 2018, and March 31, 2017 the Company had no cash equivalents. The Company maintains its cash with various financial institutions, which at times may exceed federally insured limits. Property and equipment are recorded at cost. Expenditures for major additions and betterments are capitalized. Maintenance and repairs are charged to operations as incurred. Depreciation is computed by the straight-line method (after taking into account their respective estimated residual values) over the assets estimated useful life of (3) years for equipment, (5) years for automobile, and (7) years for furniture and fixtures. The Company capitalizes direct costs for the maintenance and advancement of their patents and trademarks and amortizes these costs over a useful life of 60 months. Basic loss per share is computed by dividing net loss by weighted average number of shares of common stock outstanding during each period. Diluted loss per share is computed by dividing net loss by the weighted average number of shares of common stock, common stock equivalents and potentially dilutive securities outstanding during the period. The Company has 3,486,709 warrants outstanding as of March 31, 2018 with varying exercise prices ranging from $3.50 to $0.30 per share. The weighted average exercise price for these warrants is $0.59 per share. These warrants are antidilutive and have been excluded from the weighted average number of shares. The Company will recognize revenue on arrangements in accordance with FASB ASC No. 605, “Revenue Recognition”. In all cases, revenue is recognized only when the price is fixed and determinable, persuasive evidence of an arrangement exists, the service is performed and collectability of the resulting receivable is reasonably assured. Revenues consist of Kush™ product sales to veterinary clinics. The Company expenses research and development costs as incurred. The Company applies the accounting guidance under FASB ASC 820-10, “Fair Value Measurements”, as well as certain related FASB staff positions. This guidance defines fair value as the price that would be received from selling an asset or paid to transfer a liability in an orderly transaction between market participants at the measurement date. When determining the fair value measurements for assets and liabilities required to be recorded at fair value, the Company considers the principal or most advantageous market in which it would transact business and considers assumptions that marketplace participants would use when pricing the asset or liability, such as inherent risk, transfer restrictions, and risk of nonperformance. ● Level 1 - quoted market prices in active markets for identical assets or liabilities. ● Level 2 - inputs other than Level 1 that are observable, either directly or indirectly, such as quoted prices in active markets for similar assets or liabilities, quoted prices for identical or similar assets or liabilities in markets that are not active, or other inputs that are observable or can be corroborated by observable market data for substantially the full term of the assets or liabilities. ● Level 3 - unobservable inputs that are supported by little or no market activity and that are significant to the fair value of the assets or liabilities. The Company’s financial instruments consist of accounts payable, accrued expenses, notes payable, notes payable - related party, loan payable - related party and convertible notes payable. The carrying amount of the Company’s financial instruments approximates their fair value as of March 31, 2018 and March 31, 2017, due to the short-term nature of these instruments. In instances where the determination of the fair value measurement is based on inputs from different levels of the fair value hierarchy, the level in the fair value hierarchy within which the entire fair value measurement falls is based on the lowest level input that is significant to the fair value measurement in its entirety. The Company’s assessment of the significance of a particular input to the fair value measurement in its entirety requires judgment, and considers factors specific to the asset or liability. The valuation of the Company’s notes recorded at fair value is determined using Level 3 inputs, which consider (i) time value, (ii) current market and (iii) contractual prices. The Company’s financial instruments consist of accounts receivable, accounts payable, accrued expenses, notes payable, notes payable - related party, and convertible notes payable. The carrying amount of the Company’s financial instruments approximates their fair value as of March 31, 2018 and March 31, 2017, due to the short-term nature of these instruments and the Company’s borrowing rate of interest. The Company had no assets and liabilities measured at fair value on a recurring basis at March 31, 2018 and March 31, 2017. The Company accounts for equity instruments issued to parties other than employees for acquiring goods or services under guidance of Sub-topic 505-50 of the FASB Accounting Standards Codification (“Sub-topic 505-50”). Pursuant to ASC Section 505-50-30, all transactions in which goods or services are the consideration received for the issuance of equity instruments are accounted for based on the fair value of the consideration received or the fair value of the equity instrument issued, whichever is more reliably measurable. The measurement date used to determine the fair value of the equity instrument issued is the earlier of the date on which the performance is complete or the date on which it is probable that performance will occur. If the Company is a newly formed corporation or shares of the Company are thinly traded the use of share prices established in the Company’s most recent private placement memorandum (“PPM”), or weekly or monthly price observations would generally be more appropriate than the use of daily price observations as such shares could be artificially inflated due to a larger spread between the bid and asked quotes and lack of consistent trading in the market. ● Expected term of share options and similar instruments: Pursuant to Paragraph 718-10-50-2(f)(2)(i) of the FASB Accounting Standards Codification the expected term of share options and similar instruments represents the period of time the options and similar instruments are expected to be outstanding taking into consideration of the contractual term of the instruments and holder’s expected exercise behavior into the fair value (or calculated value) of the instruments. The Company uses historical data to estimate holder’s expected exercise behavior. If the Company is a newly formed corporation or shares of the Company are thinly traded the contractual term of the share options and similar instruments is used as the expected term of share options and similar instruments as the Company does not have sufficient historical exercise data to provide a reasonable basis upon which to estimate expected term. ● Expected volatility of the entity’s shares and the method used to estimate it. Pursuant to ASC Paragraph 718-10-50-2(f)(2)(ii) a thinly-traded or nonpublic entity that uses the calculated value method shall disclose the reasons why it is not practicable for the Company to estimate the expected volatility of its share price, the appropriate industry sector index that it has selected, the reasons for selecting that particular index, and how it has calculated historical volatility using that index. The Company uses the average historical volatility of the comparable companies over the expected contractual life of the share options or similar instruments as its expected volatility. If shares of a company are thinly traded the use of weekly or monthly price observations would generally be more appropriate than the use of daily price observations as the volatility calculation using daily observations for such shares could be artificially inflated due to a larger spread between the bid and asked quotes and lack of consistent trading in the market. ● Expected annual rate of quarterly dividends. An entity that uses a method that employs different dividend rates during the contractual term shall disclose the range of expected dividends used and the weighted-average expected dividends. The expected dividend yield is based on the Company’s current dividend yield as the best estimate of projected dividend yield for periods within the expected term of the share options and similar instruments. ● Risk-free rate(s). An entity that uses a method that employs different risk-free rates shall disclose the range of risk-free rates used. The risk-free interest rate is based on the U.S. Treasury yield curve in effect at the time of grant for periods within the expected term of the share options and similar instruments. Pursuant to Paragraphs 505-50-25-8 and 505-50-25-9, an entity may grant fully vested, non-forfeitable equity instruments that are exercisable by the grantee only after a specified period of time if the terms of the agreement provide for earlier exercisability if the grantee achieves specified performance conditions. Any measured cost of the transaction shall be recognized in the same period(s) and in the same manner as if the entity had paid cash for the goods or services or used cash rebates as a sales discount instead of paying with, or using, the equity instruments. A recognized asset, expense, or sales discount shall not be reversed if a share option and similar instrument that the counterparty has the right to exercise expires unexercised. The Company accounts for income taxes under Accounting Standards Codification (ASC) Topic 740. Deferred tax assets and liabilities are determined based upon differences between financial reporting and tax bases of assets and liabilities and are measured using the enacted tax rates and laws that will be in effect when the differences are expected to reverse. A valuation allowance is provided when it is more likely than not that some portion or all of a deferred tax asset will not be realized. The Company adopted the provisions of ASC Topic 740, on January 1, 2007. Previously, the Company had accounted for tax contingencies in accordance with Statement of Financial Accounting Standards No. 5, Accounting for Contingencies. As required by ASC Topic 450, the Company recognizes the financial statement benefit of a tax position only after determining that the relevant tax authority would more likely than not sustain the position following an audit. For tax positions meeting the more-likely-than-not threshold, the amount recognized in the financial statements is the largest benefit that has a greater than 50 percent likelihood of being realized upon ultimate settlement with the relevant tax authority. At the adoption date, the Company applied ASC Topic 740 to all tax positions for which the statute of limitations remained open. As a result of the implementation of ASC Topic 740, the Company did not recognize any change in the liability for unrecognized tax benefits. The Company is not currently under examination by any federal or state jurisdiction. The Company’s policy is to record tax-related interest and penalties as a component of operating expenses. The FASB issued ASC 606 as guidance on the recognition of revenue from contracts with customers in May 2014 with amendments in 2015 and 2016. Revenue recognition will depict the transfer of promised goods or services to customers in an amount that reflects the consideration to which the entity expects to be entitled in exchange for those goods or services. The guidance also requires disclosures regarding the nature, amount, timing and uncertainty of revenue and cash flows arising from contracts with customers. The guidance permits two methods of adoption: retrospectively to each prior reporting period presented, or retrospectively with the cumulative effect of initially applying the guidance recognized at the date of initial application (the cumulative catch-up transition method). The Company will adopt the guidance on April 1, 2018 and apply the cumulative catchup transition method. The transition adjustment to be recorded to stockholders’ equity upon adoption of the new standard is not expected to be material. The Company does not expect the adoption on this new standard to have any material effect upon the financial statements. In February 2016, the FASB issued ASU No. 2016-02, Leases (Topic 842) to increase transparency and comparability among organizations by recognizing lease assets and lease liabilities on the balance sheet and disclosing key information about leasing arrangements. Topic 842 affects any entity that enters into a lease, with some specified scope exemptions. The guidance in this ASU supersedes Topic 840, Leases. The core principle of Topic 842 is that a lessee should recognize the assets and liabilities that arise from leases. A lessee should recognize in the statement of financial position a liability to make lease payments (the lease liability) and a right-of-use (“ROU”) asset representing its right to use the underlying asset for the lease term. For public companies, the amendments in this ASU are effective for fiscal years beginning after December 15, 2018, including interim periods within those fiscal years. The Company expects to recognize ROU assets and related obligations upon adoption of ASU 2016-02. The Company does not expect the adoption on this new standard to have any material effect upon the financial statements. All other newly issued accounting pronouncements but not yet effective have been deemed either immaterial or not applicable. At March 31, 2018, the company is obligated for officers’ notes payable, accounts payable and accrued interest in the total amount of $193,099. The note payable to officer terms are accrual of interest at eight percent annually, with a stipulation including if the Company receives additional financing in the amount greater than $1,400,000, the Company will immediately pay the officer the principal amount of the note along with all interest due. At March 31, 2017, the Company was obligated for unpaid officer salaries and advances totaling $197,055. As of March 31, 2018 the Company had one outstanding note payable and accrued interest in the amount of $103,872 due to a Director of the Company, David Masters, and no lines of credit open. *As of November 26, 2017, Gel-Del Technologies, Inc. was delinquent in the monthly payments of the Bank Credit Line and a Bank Credit Card through the same banking institution. The Company negotiated a settlement with the bank regarding the Bank Credit Line having an outstanding balance of $50,000 and the Bank Credit Card having an outstanding balance of $10,000; both were originally incurred by Gel-Del Technologies, Inc. The bank agreed to a settlement payment of $38,000 for the combined balance of $60,000. A payment plan of $8,000 due on September 29, 2017 to be applied to the Bank Credit Line in the amount of $6,666 and $1,333 applied to the credit card balance. A payment of $10,000 due on October 15, 2017 to be applied to the Bank Credit Line in the amount of $ 8,333 and $1,666 applied to the credit card balance. A payment of $10,000 due on November 15, 2017 to be applied to the Bank Credit Line in the amount of $ 8,333 and $1,666 applied to the credit card balance. A final payment of $10,000 due on December 15, 2017 to be applied to the Bank Credit Line in the amount of $8,333 and $1,666 applied to the credit card balance. At March 31, 2017 there was $11,579 of unused credit on a bank line of credit of $75,000. Interest was accrued at 6.5%. The payment plan outlined above was completed in December of 2017. The Company was indebted on a note bearing interest at prime plus 5.5% to a bank with a monthly payment of $2,786 and expiring in January, 2017. All assets of Gel-Del were pledged as collateral. On February 23, 2017, the Company paid this note in full and received a release of the collateral pledge in all assets of Gel-Del. At March 31, 2017 the Company was indebted to Robert Rudelius in the amount of $55,326 which consisted of a convertible note of $50,000 and accrued interest of $5,326; the interest rate on this loan was 8%. This note and its accrued interest totaling $66,231 was converted into 94,614 shares of common stock in February of 2018 at a conversion price of $.70/share. At March 31, 2017 the Company was indebted to Stanley Cruden in the amount of $105,000 which consisted of a convertible note of $105,000 and accrued interest of $-0-; the interest rate on this loan was 12%. This note and its accrued interest totaling $115,736 was converted in February of 2018 into 330,673 shares of common stock at a conversion price of $.35/share and 330,673 warrants to purchase shares of common stock at $.50/share with a three-year term. At March 31, 2017 the Company was indebted to Scott Johnson in the amount of $7,500; the interest rate on this loan was 6% and a due date of September 2, 2018. This note and its accrued interest totaling $7,975 was converted into 22,786 shares of common stock in November of 2017 at a conversion price of $.35/share. At March 31, 2017 the Company was indebted to Gary Bryant in the amount of $5,000; the interest rate on this loan was 6% and a due date of December 14, 2018. This note and its accrued interest totaling $5,234 was converted into 14,955 shares of common stock in November of 2017 at a conversion price of $.35/share. As reflected in the accompanying consolidated financial statements, the Company had no significant revenue, negative working capital, negative equity and recurring material losses. These factors raise substantial doubt about the Company’s ability to continue as a going concern. Management intends to raise additional funds either through a private placement or public offering of its equity securities. Management believes that the actions presently being taken to further implement its business plan will enable the Company to continue as a going concern. While the Company believes in its viability to raise additional funds, there can be no assurances to that effect. The ability of the Company to continue as a going concern is dependent upon the Company’s ability to further implement its business plan and raise additional funds. These financial statements do not include any adjustments that might be necessary if the Company is unable to continue as a going concern. v) 431,500 shares issued to service providers for business management and financial consulting services valued at $214,825. Also, during the year ended March 31, 2018 the Company’s President, John Lai, entered into an escrow agreement with the Company’s CEO, Wesley Hayne, whereby John transferred via escrow 1,250,000 shares valued at $370,000 of his personally-owned common stock to Wesley as incentive for performing the tasks of CEO. All 1,250,000 shares were escrowed to be received by Mr. Hayne ratably during his two-year employment service. This transaction was recorded in fiscal quarter four of the year ended March 31, 2018 as an expense on behalf of the company and recorded against Additional Paid in Capital. iv) 97,342 shares were issued to accredited investors for interest valued at $151,476. vii) warrants for 750,000 shares to the President of the Company for past management services, vesting quarterly over a two-year period, and each quarterly vested portion exercisable at $0.30 per share for a three-year term from its vesting date, this resulted in compensation expense valued using the Black-Scholes pricing model of $84,962 during the year ended March 31, 2018. On November 21, 2014, the respective Boards of Directors and executive officers of our company and of Gel-Del Technologies, Inc., a Minnesota corporation (“Gel-Del”), entered into and agreed to a merger between our company and Gel-Del, subject to approval by our shareholders and the shareholders of Gel-Del. Approval of our shareholders of this initial merger was obtained by us on April 10, 2015 through a Written Consent pursuant to Nevada corporate statutes, and approval of Gel-Del shareholders was obtained through a meeting of its shareholders duly held on March 25, 2015 pursuant to Minnesota corporate statutes. Concurrent with obtaining full shareholder approval, we also appointed the directors of Gel-Del as directors of our company. We then controlled Gel-Del, combined all Gel-Del operations with ours, and became responsible to provide future funding for Gel-Del. Accordingly, we concluded that Gel-Del was a VIE entity for which we were the primary beneficiary and that for accounting purposes, we would consolidate our financial statements with those of Gel-Del. As required by US GAAP accounting, our initial consolidation of this VIE was accounted for similar to a business combination with the assets and liabilities of Gel-Del stated at their fair value. In light of the pending merger, we determined the fair value of Gel-Del based on the agreed consideration of 4,150,000 common shares using the $4.02 per share trading price of our common stock at April 10, 2015. The assets of Gel-Del equaled $295,716 and its liabilities were $2,295,462 for a difference of $1,999,746 that resulted in a total purchase consideration of $18,978,462. We allocated $13,407,693 to goodwill and $5,570,769 to patents and trademarks. We recorded a non-controlling interest of $16,683,000. We were unable to consummate the initial merger agreement with Gel-Del due primarily to a substantial public market decline in the trading value of our common stock. In order to complete our Gel-Del merger, in early 2017 we agreed to provide Gel-Del an additional 31.3% of our common shares than was provided for in the initial merger agreement. Accordingly, pursuant to an Agreement of Merger dated March 20, 2017, our management and Gel-Del management revised the structure and terms of the Gel-Del merger to provide for the issuance of these additional shares to Gel-Del and to effect the transaction through a statutory triangular merger. The revised merger was then completed under Minnesota Statutes whereby Gel-Del and a wholly-owned subsidiary of ours (which was incorporated in Minnesota expressly for this transaction) completed this triangular merger (the “Merger”). Pursuant to the Merger, Gel-Del was the surviving entity and concurrently became our wholly-owned subsidiary, resulting in our obtaining full ownership of Gel-Del. Our primary reason to effect the Merger was to obtain 100% ownership and control of Gel-Del and its patented bioscience technology, including ownership of Gel-Del’s Cosmeta subsidiary. The effective date for the Merger was April 10, 2017 when the Merger was filed officially with the Secretary of State of Minnesota. Pursuant to the Merger, we issued a total of 5,450,000 shares of our common stock pro rata to the pre-merger shareholders of Gel-Del, resulting in each outstanding common share of Gel-Del being converted into 0.788 common share of our company. Gel-Del did not have any outstanding options, warrants, convertible debt, or other rights convertible into equity. The 5,450,000 shares represented approximately 30% of our total post-merger outstanding common shares and were valued at the closing price of our common shares on the effective date of the Merger of $0.40 per share, resulting in total consideration of $2,180,000. Incident to completion of the Merger, we recorded an impairment loss of approximately $14,700,000 including $13,407,693 in goodwill and approximately $1,292,307 in patents and trademarks, in order to account for the decline in our initial valuation of Gel-Del. In accordance with authoritative guidance, the non-controlling interest associated with Gel-Del was reclassified to additional paid-in capital, including the difference between the non-controlling interest and the consideration paid. During the three months ended March 31, 2018 the Company entered into a lease with a 90-day notice clause for 500 square feet of manufacturing and office space in Rochester, MN. Current income taxes are based upon the year’s income taxable for federal and state tax reporting purposes. Deferred income taxes (benefits) are provided for certain income and expenses, which are recognized in different periods for tax and financial reporting purposes. Deferred tax assets and liabilities are computed for differences between the financial statements and tax bases of assets and liabilities that will result in taxable or deductible amounts in the future based on enacted tax laws and rates applicable to the period in which the differences are expected to affect taxable income. The Company’s deferred income taxes arise from the temporary differences between financial statement and income tax recognition of net operating losses. These loss carryovers would be limited under the Internal Revenue Code should a significant change in ownership occur within a three-year period. There were no depreciation differences. At March 31, 2018 and 2017, the Company had net operating loss carryforwards of approximately $13,799,909 and $16,762,992. The deferred tax assets arising from the net operating loss carryforwards are approximately $4,250,372, and $5,935,455 as of March 31, 2018 and 2017, respectively. The ultimate realization of deferred tax assets is dependent upon the generation of future taxable income during the periods in which those temporary differences become deductible. Management considers the scheduled reversal of deferred tax liabilities, the projected future taxable income and tax planning strategies in making this assessment. Based on management’s analysis, they concluded not to retain a deferred tax asset since it is uncertain whether the Company can utilize this asset in future periods. Therefore, they have established a full reserve against this asset. The change in the valuation allowance in 2018 and 2017 was approximately ($1,685,083) and $5,519,204 respectively. The Company’s continuing practice is to recognize interest and/or penalties related to income tax matters in income tax expense. As of March 31, 2018 and 2017, the Company had no accrued interest and penalties related to uncertain tax positions. The Company is subject to taxation in the U.S. and Minnesota. Our tax years for 2014 and forward are subject to examination by tax authorities. The Company is not currently under examination by any tax authority. Management has evaluated tax positions in accordance with FASB ASC 740, and has not identified any tax positions, other than those discussed above, that require disclosure. In May 2018, the Company issued John Lai, our President/CFO, a total of 803,385 shares of our common stock, including 324,723 shares to replace common shares he had surrendered in 2016 to obtain past significant financing, and 478,662 shares to restore escrowed shares he had surrendered under an escrow agreement, provided that Mr. Lai still satisfies certain financing requirements of the escrow agreement. In May 2018 the Company also granted five-year warrants for the aggregate purchase of 190,000 shares of its common stock at an exercise price of $1.00 per share, including warrants for 80,000 shares granted to an employee, warrants for 80,000 shares granted to two advisors for advisory services, and warrants for 30,000 shares granted to an attorney for legal services. On October 24, 2017, the Company retained Soles, Heyn & Company, LLP, as its principal independent registered public accounting firm. This changed engagement was necessary due to the recent merger of our former registered public accounting firm, Patrick D. Heyn, CPA, P.A. with Soles, Heyn & Company, LLP. During the Company’s two most recent fiscal years and to the date of this report, the Company has not consulted with Soles, Heyn & Company, LLP regarding either: (i) the application of accounting principles to a specified transaction, either completed or proposed; or the type of audit opinion that might be rendered on the Company’s financial statements and either a written report was provided to the Company or oral advice was provided to the Company that Soles, Heyn & Company, LLP, concluded was an important factor considered by the Company in reaching a decision as to the accounting, auditing or financial reporting issue; or (ii) any matter that was the subject of a disagreement and required to be reported under Item 304(a) (1)(iv) of Regulation S-K and the related instructions thereto. Item 401(a) is not applicable since there was no resignation or dismissal of the registrant’s certifying accountant involved in this merger of accounting firms. We maintain controls and procedures that are designed to ensure that information required to be disclosed in the reports that we file or submit under the Securities Exchange Act of 1934 is recorded, processed, summarized and reported within the time periods specified in the SEC’s rules and forms, and that such information is accumulated and communicated to our management including our principal executive and principal financial officers, as appropriate, to allow timely decisions regarding required disclosures. Based upon their evaluation of those controls and procedures performed as of the end of the period covered by this report, our principal executive officer and our principal financial officer concluded that our disclosure controls and procedures were not effective. Management’s annual report on internal control over financial reporting. ● Provide reasonable assurance regarding prevention or timely detection of unauthorized acquisition, use or disposition of our assets that could have a material effect on the financial statements. Because of its inherent limitations, our internal control over financial reporting may not prevent or detect misstatements. Therefore, even those systems determined to be effective can provide only reasonable assurance with respect to financial statement preparation and presentation. Projections of any evaluation of effectiveness to future periods are subject to the risk that controls may become inadequate because of changes in conditions, or that the degree of compliance with the policies or procedures may deteriorate. Our management assessed the effectiveness of our internal control over financial reporting as of March 31, 2018. In making this assessment, management used the criteria set forth by the Committee of Sponsoring Organizations of the Treadway Commission (“COSO”) in Internal Control — Integrated Framework (revised 2013). This assessment included an evaluation of the design and procedures of our control over financial reporting. ● Deficiencies in Segregation of Duties. Lack of proper segregation of functions, duties and responsibilities with respect to our cash and control over the disbursements related thereto due to our very limited staff, including our accounting personnel. ● Deficiencies in the staffing of our financial accounting department. The number of our qualified accounting personnel with experience in public company SEC reporting and GAAP is limited. Limited checks and balances in processing cash and other transactions. The existence of the material weaknesses in our internal control over financial reporting increases the risks that our financial statements may be misleading materially or even need to be restated. We are committed to improving our financial and oversight organization and procedures. During the past fiscal year, we added three independent directors who also became our audit committee under a formal charter, and we added a fulltime experienced Controller who is now responsible for our financial controls and procedures. There have been no changes in our internal control over financial reporting during our last fiscal quarter that have materially affected, or are reasonably likely to materially affect, our internal control over financial reporting. Wesley C. Hayne. Mr. Hayne has been a director since July 2017 and has served as our Chief Executive Officer since June 2017. Mr. Hayne has many years of senior executive experience in corporate development, business management, marketing and team sales management in several industries, both with public and private companies. From January 2016 until June 2017, Mr. Hayne served as Vice President/Investments for Source Capital Group, Scottsdale, Arizona, specializing in alternative type investments; and from November 2012 until December 2015 he served as Chief Strategy Officer of Emergent Financial Group, a Minneapolis broker-dealer. Prior to Emergent Mr. Hayne served as CEO of Virtual Express, Inc., February 1993 to December 1994, CEO of International Concept Development, Inc., July 1994 to February 2000, and CEO of Biorefining, Inc., February 2000 to December 2008. Mr. Hayne’s past extensive experience in the investment banking industry prior to 2012 includes being a founder of and serving from January 1986 to August 1994 as Chief Executive Officer of Hayne, Miller, Swearingen & Glore, a Midwestern broker-dealer with offices in Minneapolis and Chicago specializing in raising capital for high growth companies. This broker-dealer sourced, managed, and completed many public NASDAQ and private underwritings. Mr. Hayne also served as a member of the Board of Directors of several public companies registered under the Securities Exchange Act of 1934, such as K-Tel International (including Chairman of the Audit Committee of K-Tel International, Inc.), and First Team Sports, Inc. Mr. Hayne’s various roles as a senior executive officer and director of several public companies as well as his extensive operational and professional experience in the investment banking industry are material factors regarding his qualifications to serve on our Board of Directors. John Lai. Mr. Lai has been a director and senior executive officer since March 2014, including being our President since March 2014 and our Chief Financial Officer since April 2018, and serving as our Chief Executive Officer from March 2014 to May 2017. From March 2012 to April 2016, Mr. Lai also was Chief Executive Officer and a director of Blue Earth Resources, Inc., a small public company which acquired and managed working interests in producing oil and gas leases in Louisiana. Mr. Lai has over thirty years of senior executive and operational management and financial experience while holding key executive positions with several public companies in various industries. In 1992 Mr. Lai founded and until December 2012 was the principal owner and President of Genesis Capital Group, Inc., which provided significant consulting services to many public and private companies in the powersports, technology and other industries, while advising its clients in corporate development, mergers and acquisitions, and private and public capital-raising through equity offerings. Mr. Lai’s role as a co-founder of the company and his many years of experience as a chief executive officer of many public or private companies are material factors regarding his qualifications to serve on our Board of Directors. John F. Dolan. Mr. Dolan has been a director since March 2014, and he served as our Chief Financial Officer from March 2014 to November 2017. Since March 2013, Mr. Dolan also has served as corporate and intellectual property (IP) counsel for KILO, Inc., an alternative energy company. From June 2000 to July 2012, Mr. Dolan was a shareholder in the intellectual property group of the Minneapolis law firm of Fredrikson & Byron, where he specialized in securing and protecting domestic and foreign patent and other IP rights for various clients including biomaterials technology and products. During the past five years, Mr. Dolan also has provided consulting services to several early stage companies on all aspects of IP asset protection as well as new technology and corporate development. His extensive career in the intellectual technology field includes serving as a patent examiner with the U.S. Patent and Trademark Office (USPTO). Mr. Dolan’s role as a cofounder of the company and his extensive experience in processing patent and legal trademark applications through the USPTO are material factors regarding his qualifications to serve on our Board of Directors. David B. Masters, Ph.D. Dr. Masters has been a director since April 2015, and he served as our Chief Technical Officer from April 2015 to December 2017. Dr. Masters is the founder of and served as Chief Executive Officer and Chief Technology Officer of Gel-Del Technologies, Inc., from 1999 to December 2017, while for Gel-Del he developed and obtained significant patents for the proprietary biomaterial technology and product applications acquired by us from Gel-Del. Dr. Masters is recognized internationally as a leading expert in biomaterials and local drug delivery, and over the past twenty years he has developed and obtained patents for many novel biomaterials and drug delivery products, including implantable medical devices for neurologic, vascular, orthopedic, urologic and dermal applications. Dr. Masters’ former academic career included teaching courses and doing significant research at Harvard Medical School and The Mayo Clinic. He received a B.A. Degree in Biochemistry, a Master’s Degree in Chemistry, and a Ph.D. in Behavioral and Neural Sciences from Rutgers University. Dr. Master’s role as the founder of Gel-Del and his long professional career in developing and obtaining patents for many biomaterials and drug delivery products are material factors regarding his qualifications to serve on our Board of Directors. Randall A. Meyer. Mr. Meyer has been a director since April 2015, and he served as our Chief Operating Officer from April 2015 to November 2017. From January 2009 to April 2015, Mr. Meyer served as Chief Operating Officer of Gel-Del Technologies, Inc. while being in charge of all operational and marketing activities of Gel-Del. Prior to joining Gel-Del, Mr. Meyer’s substantial medical device industry management experience included being Chief Operating Officer of Softscope Medical Technologies, Inc. and being Chief Executive Officer of Tactile Systems Technology, Inc. Mr. Meyer’s role as the senior operational officer of Gel-Del for many years and his long experience as an executive officer of several companies in the medical device industry are material factors regarding his qualifications to serve on our Board of Directors. Peter Vezmar. Mr. Vezmar has been a director since September 2017. Mr. Vezmar is the founder of and has served as Chief Executive Officer of Matula Enterprises, Inc. since May 2013. Matula Enterprises, Inc. is a holding company primarily focusing on investment opportunities in targeted middle-market companies. From January 1999 to May 2013, Mr. Vezmar was Chief Financial Officer of Andrie Trading, LLC, a private company engaged in options and futures transactions. Mr. Vezmar has over thirty-five years of diverse experience in business management and strategy, corporate finance including several IPOs, merger and acquisition transactions, public company financial reporting, tax and regulatory compliance, and corporate governance. His broad experience includes many industries including life sciences/biotech, IT technologies, insurance, renewable energy, transportation/logistics, advertising and others. Mr. Vezmar’s diverse senior management and operational experience with many public and private companies and his extensive experience with corporate finance, tax and regulatory compliance, and corporate governance of public companies including life sciences/biotech, are material factors regarding his qualifications to serve on our Board of Directors. David Deming. Mr. Deming has been a director since September 2017. Mr. Deming is a Partner at Asymetric Capital Management LLC, which provides money and investment management services to its clients, and he has served as its Director of Business Development since October 2016. Mr. Deming also has served since January 2017 as the Chief Executive Officer and a director of Wildfire 5G, Inc., a communications company operating next-generation protected internet wireless networks delivering high-speed internet and telecommunications services to its broad range of customers. From January 1997 to October 2016, Mr. Deming was Chief Operating Officer of Arbor Capital Management LLC, an investment banking and money management firm. Mr. Deming’s past service as a senior executive officer of both high technology and other commercial enterprises, his business development and management advisory services, and his long operational experience in investment banking and money management, are material factors regarding his qualifications to serve on our Board of Directors. David E. Merrill. Mr. Merrill has been a director since November 2017. For many years Mr. Merrill served as a senior executive officer, sales representative or marketing consultant for several leading medical device companies. Since 2011 he has been the founder, principal owner and Chief Executive Officer of Merrill Family Enterprises, Inc., a medical device consulting and investment company based in Fort Worth, Texas, which provides management, marketing, and product distribution advisory services for its clients. Mr. Merrill’s past extensive medical device industry experience includes being employed by Medtronic for thirteen years in key sales and marketing positions such as Medtronic’s Director of Sales Development and Support. His extensive domestic experience in the medical device industry also included ten years as Senior Director, Southwest Region, for the Cardiac Division of St. Jude Medical. He also has extensive international experience in the medical products industry, including serving for three years as Vice President of Medtronic’s Cardiac Rhythm Management—Asia-Pacific territory; and serving for ten years as Vice President, International of I-Flow Corporation while he successfully negotiated and obtained I-Flow product distribution agreements with leading international medical device distributor companies in Germany, Japan, Mexico and other countries. Mr. Merrill’s extensive medical device industry experience with leading medical device companies, while serving in senior marketing and sales management positions, as well as his background in international sales management and medical device distribution transactions, are material factors regarding his qualifications to serve on our Board of Directors. There are no family relationships between any of our executive officers and directors. During the past ten years, none of our executive officers or directors have been involved in any legal proceeding concerning: (i) any bankruptcy petition filed by or against any business of which they were a general partner or executive officer either at the time of the bankruptcy or within two years prior to that time; (ii) any conviction in a criminal proceeding or being subject to a pending criminal proceeding (excluding traffic violations and other minor offenses); (iii) being subject to any order, judgment or decree, not subsequently reversed, suspended or vacated, of any court of competent jurisdiction permanently or temporarily enjoining, barring, suspending or otherwise limiting involvement in any type of business, securities or banking activity; or (iv) being found by a court, the Securities and Exchange Commission or the Commodity Futures Trading Commission to have violated a federal or state securities or commodities law unless the judgment was reversed, suspended or vacated). Each of our directors will be elected at our annual meeting of stockholders and hold office until the next annual meeting of stockholders, or until a successor is elected and qualified. If any director resigns, dies or is otherwise unable to serve out the director’s term, or if the Board increases the number of directors, the Board may fill the vacancy by the vote of a majority of the directors then in office. A director elected to fill a vacancy shall serve for the unexpired term of such director’s predecessor. We have an Audit Committee and a Compensation Committee, and our entire Board of Directors acts as our Nominating Committee. Our Audit Committee consists of three independent directors who are David Deming, Peter Vezmar and David Merrill, with Mr. Vezmar considered as an “audit committee financial expert” within the meaning of Regulation S-K of the SEC. Our Compensation Committee consists of two independent directors who are David Deming and Peter Vezmar. We have adopted a Code of Ethics which applies to our board of directors, executive officers and other employees. Our Code of Ethics outlines the broad principles of ethical business conduct we have adopted, including subject areas such as confidentiality, conflicts of interest, corporate opportunities, public disclosure reporting, protection of company assets, and compliance with applicable laws. A copy of our Code of Ethics is available without charge to any person by written request to us at our principal offices at 5251 Edina Industrial Blvd., Edina, MN 55439. Directors who are also executive officers do not receive any compensation regarding their role as a director. We currently have no formal policy for non-executive director compensation. Each of our current three independent directors has received warrants to purchase 100,000 shares of our common stock, vesting quarterly over a two-year period, and exercisable over a five-year term at a price based on the fair market value of our common stock on the grant date. (1) The amounts in the “Warrant awards” column represent the grant date fair value of the warrants granted to directors during fiscal year 2018, computed in accordance with ASC Topic 718. Our authorized capital is 250,000,000 shares of common stock and 20,000,000 shares of preferred stock, both of par value of $.001 per share. At March 31, 2018, there were 18,279,075 shares of our common stock outstanding and no shares of our preferred stock outstanding. Holders of our common stock are entitled to one vote for each share on all matters submitted to a stockholder vote, and also are entitled to share ratably in all dividends declared by our board of directors from legally available funds. Holders of our common stock do not have any cumulative voting rights. In the event of our liquidation, dissolution or winding up, subject to preferences of any outstanding preferred stock, holders of our common stock will participate ratably in all assets that remain after payment of liabilities. Holders of our common stock have no conversion, redemption, preemptive or other subscription rights. We have no outstanding or designated preferred stock, and currently have no plans to issue or designate any preferred stock. Without further stockholder approval, however, our board of directors may issue preferred stock in one or more series from time to time, and fix or alter the designations, relative rights, priorities, preferences, qualifications, limitations and restrictions of preferred shares of each series. Different series of preferred stock may differ with respect to voting rights, dividend rates, conversion rights, redemption provisions, amounts payable on liquidation, sinking fund provisions and other material matters. Our board of directors may authorize the issuance of preferred stock which ranks senior to our common stock for the payment of dividends and the distribution of assets on liquidation. or which limits the payment of dividends on our common stock while preferred stock is outstanding. We currently have outstanding stock purchase warrants to purchase an aggregate of 3,486,709 shares of our common stock at exercise prices ranging from $0.30 to $3.50 per share with a weighted average price of $0.59 per share, and having expiration dates ranging from June 2020 to May 2023. We currently have no outstanding stock options. The table set forth below summarizes the annual and long-term compensation for services in all capacities to us payable to our principal executive officers during the years ended March 31, 2018 and 2017.